What is the first thought that comes to mind when you think about the holidays and Rockefeller Center? Tree lighting and the ice rink, possibly? How about all the amazing shops at 30 Rock? 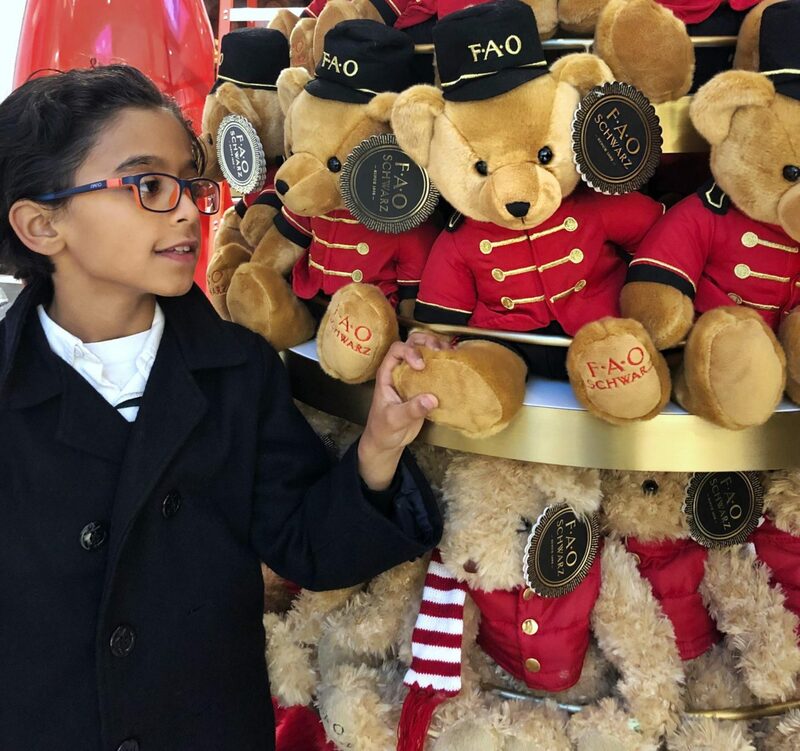 I decided to take my family on an early walk through some of the shops at Rockefeller Center, including the newly re-opened FAO Schwarz (which I am so over the moon about!) 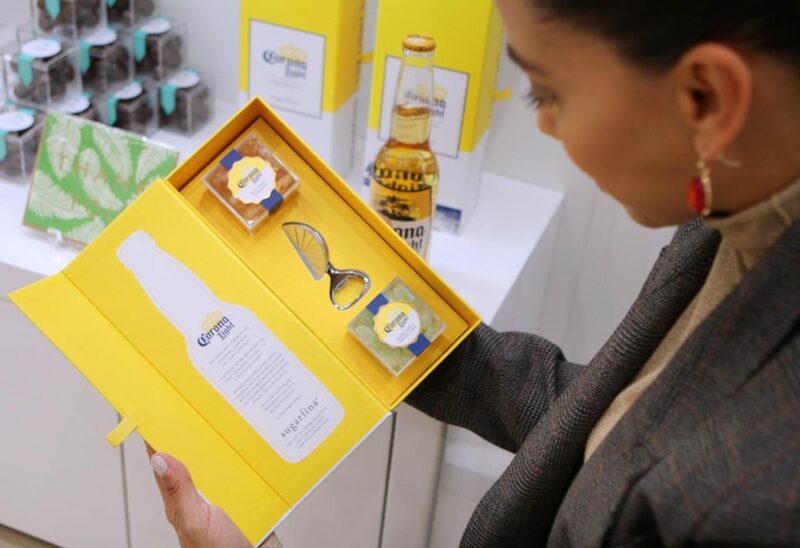 to share a few of my favorites on my holiday gift guide list this season. 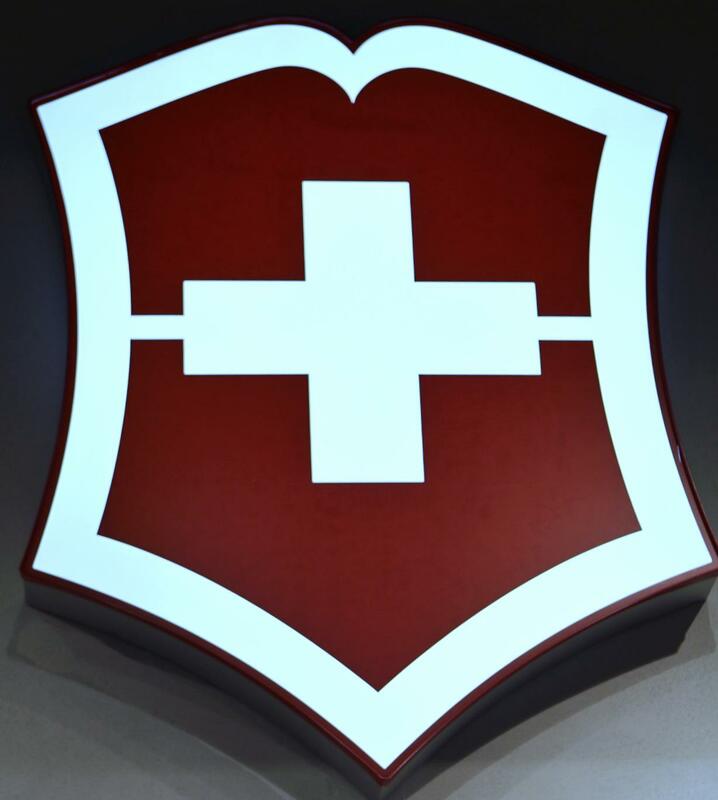 First stop, Victorinox. My husband loves Swiss Army knives, and so we decided to check out the store. I happen to love their luggage collection as my son owns one just for himself. 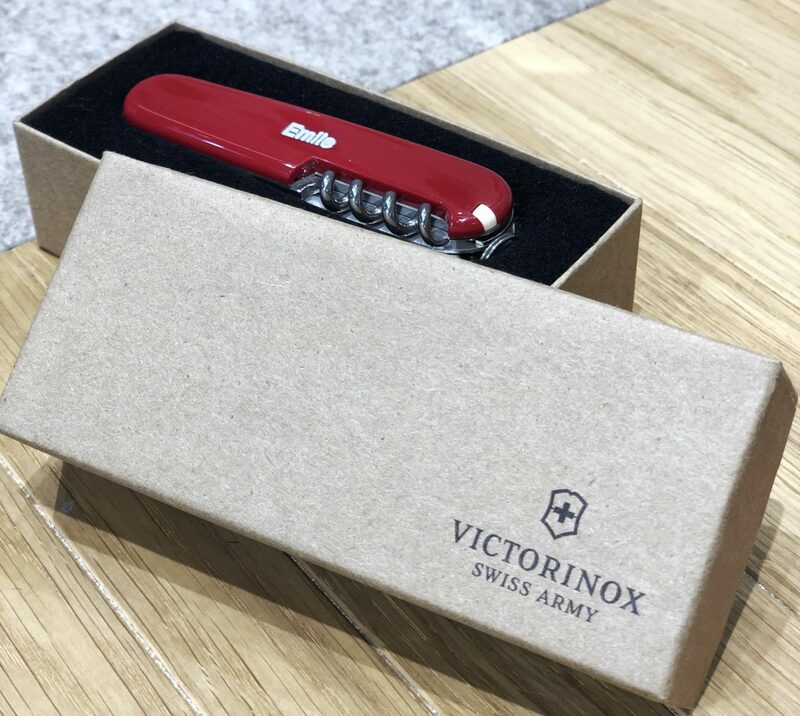 From sport knives to luggage to watches, Victorinox is a well-known brand particularly for their namesake which translates to “stainless steel”. 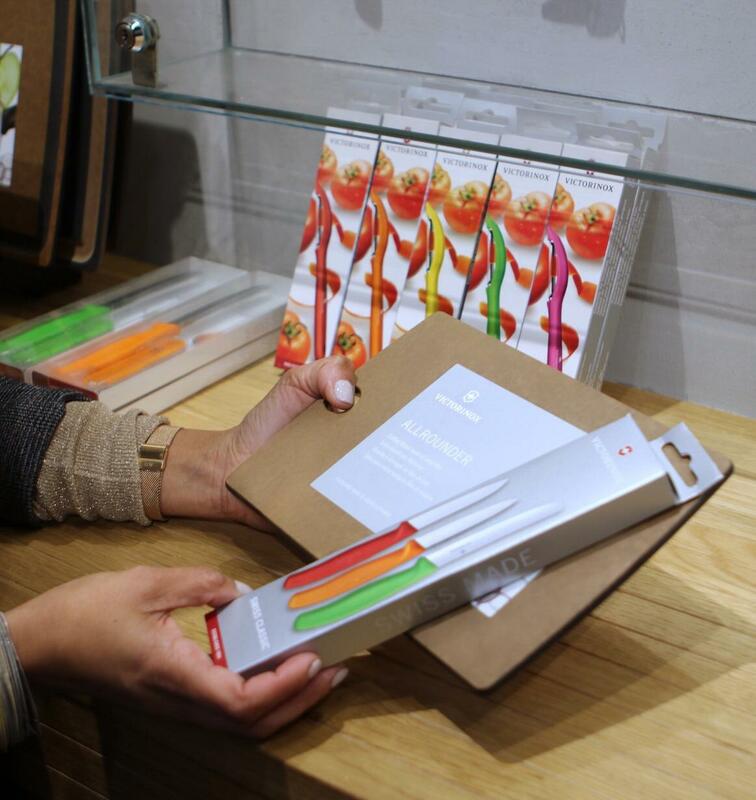 I love that you can also have their Swiss army knives personalized right in the shop! 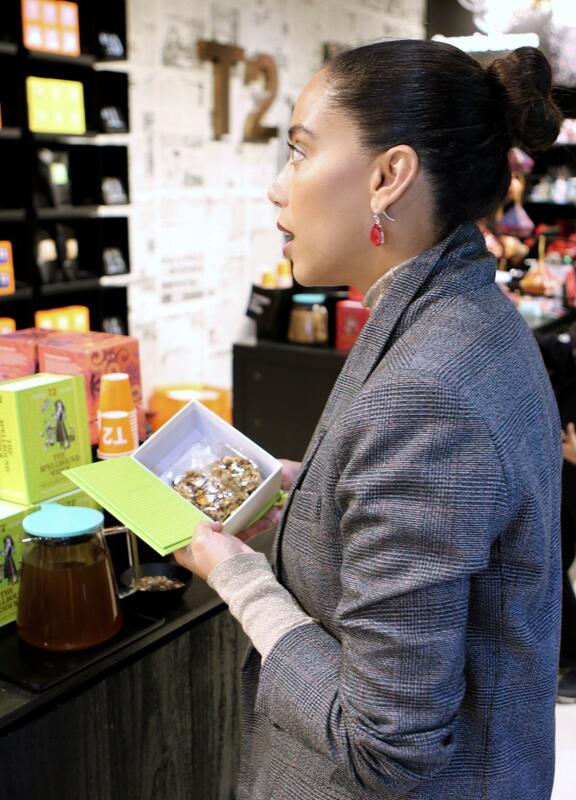 Next, we were off to T2 Tea, a brand I didn’t know much about but upon entering immediately fell in love with their tea concept and getting to sample some of their teas. My son’s adventurous palette had him trying the tea too (T2!). 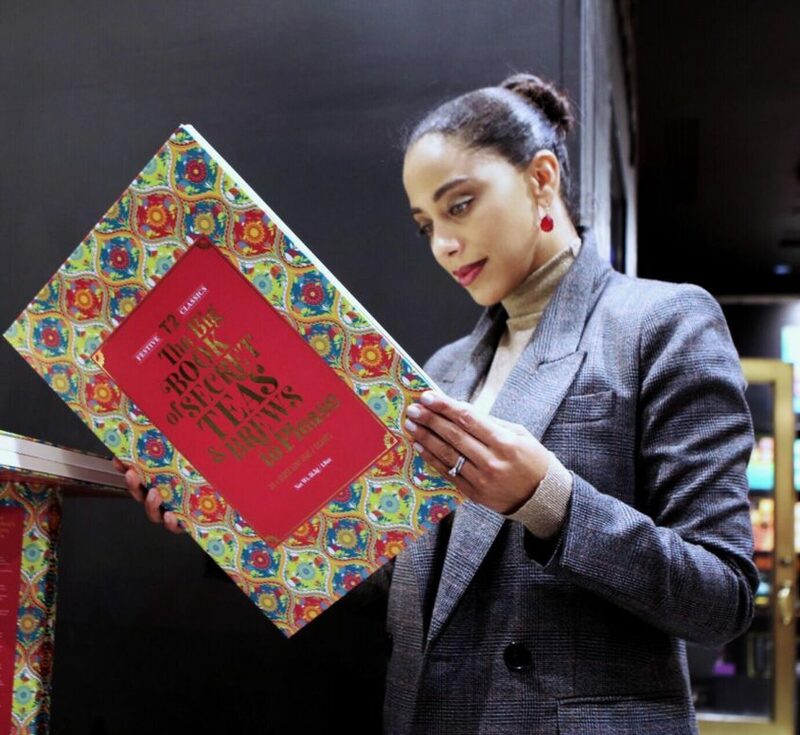 One of our favorites that makes the perfect gift for a tea-lover is their Storybook Tea Loose Tea series, which comes in a beautifully packaged storybook. In store, they added soy milk and honey which made it such a creamy blend of goodness, we had to have another taste. A few other great ideas from T2 Tea? 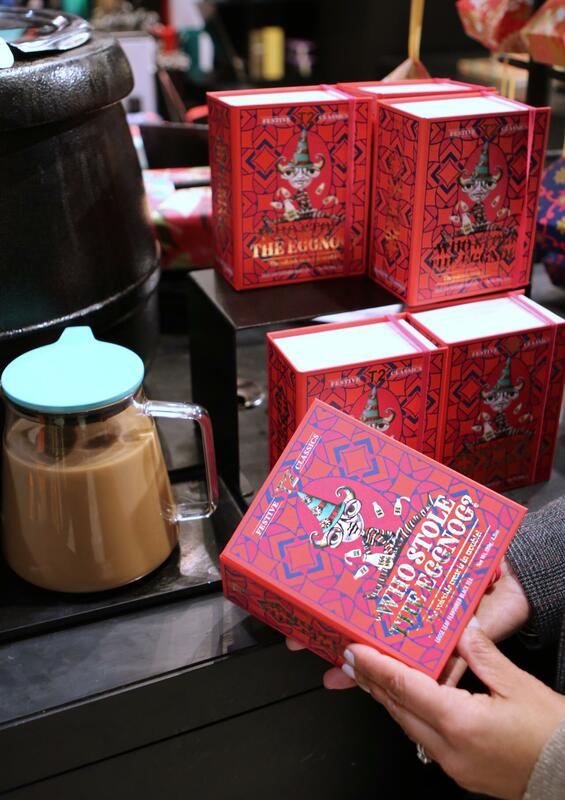 A one of a kind limited edition tea cup set. 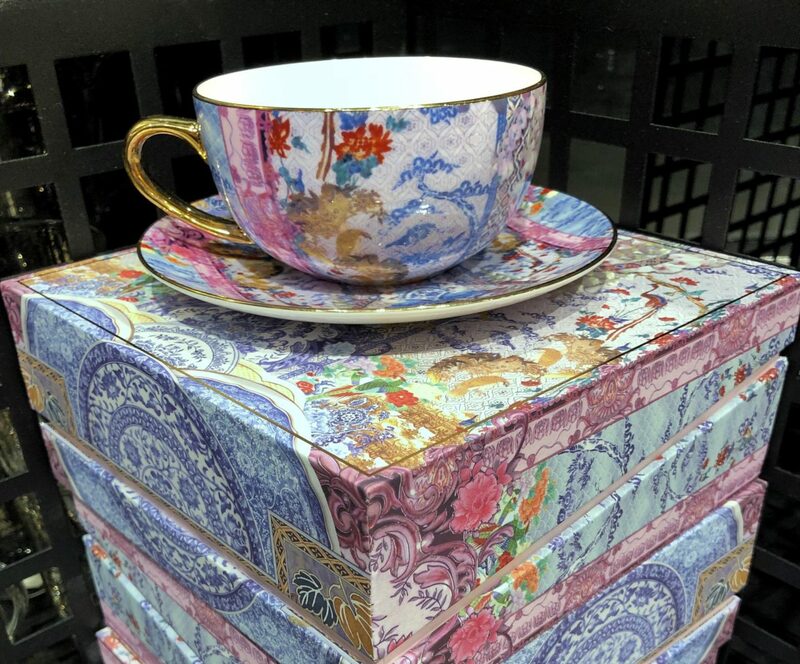 With only 700 made, the beautifully detailed floral & patterned set would make anyone enjoy their tea in elegance. 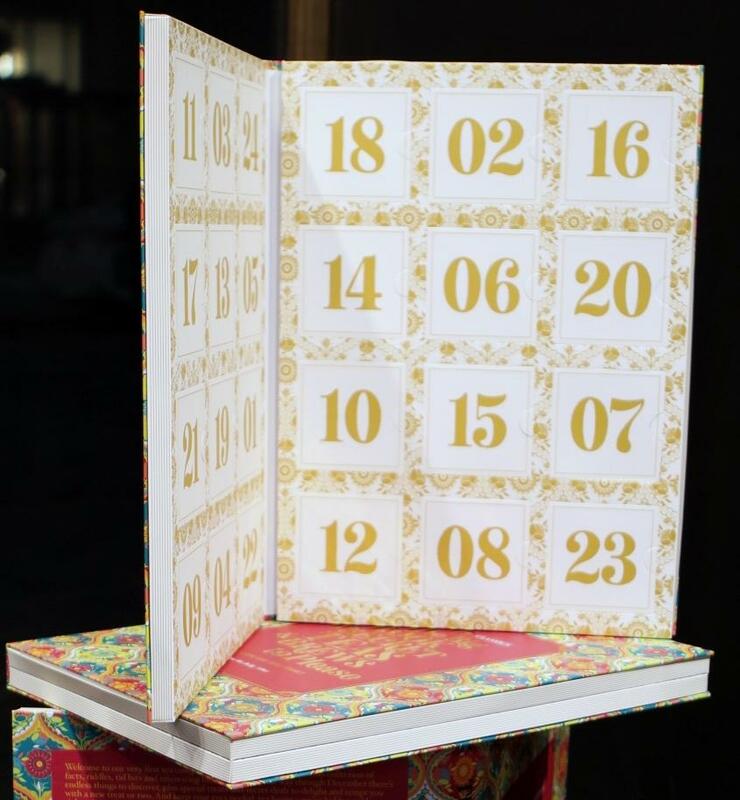 For those who love a surprise everyday, the Book of Secrets Advent Calendar has tea samplings, to find a new flavor or two, which would make the perfect gift to find out the next favorite tea to love. Now who can resist candy? 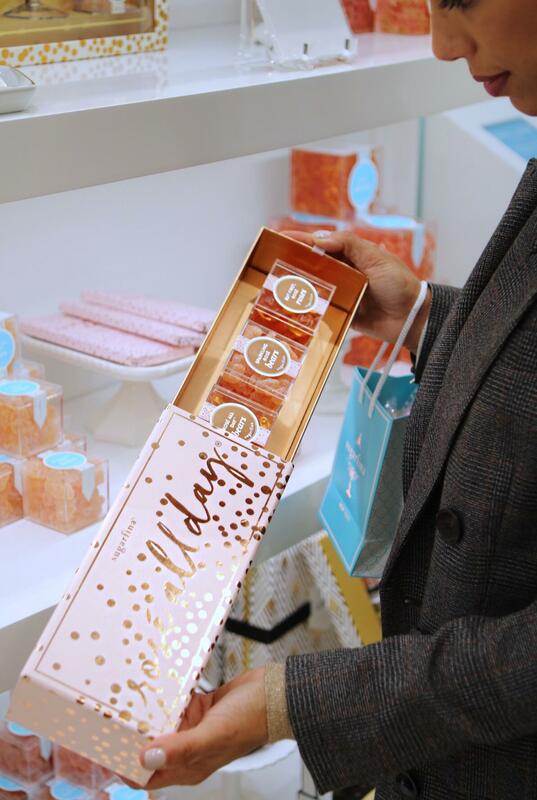 Sugarfina is the perfect candy brand that makes little candies so if you eat a few you don’t feel so guilty. 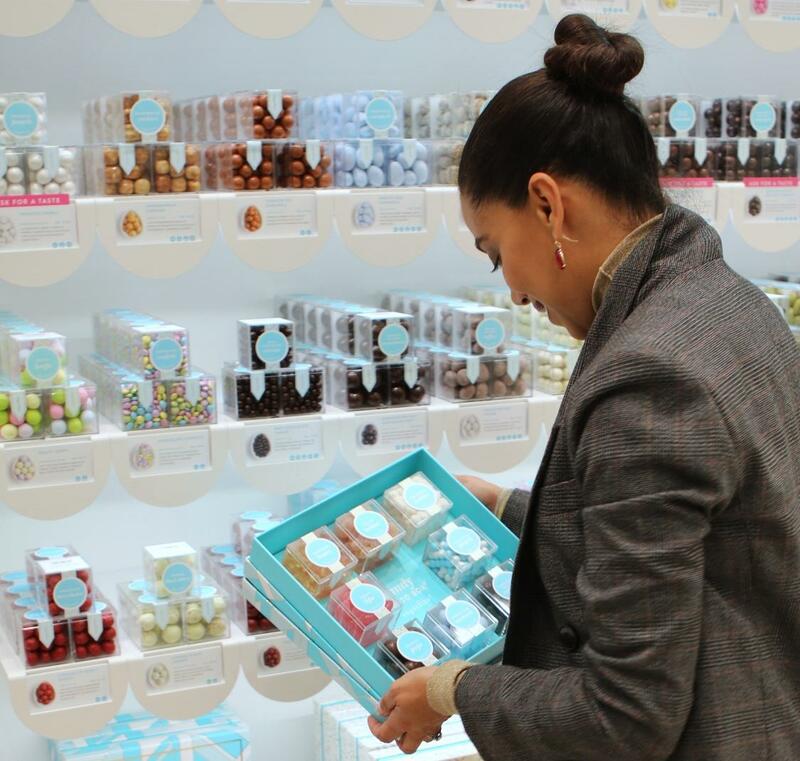 Plus, who can resist the store’s unbelievable Instagram-worthy candy wall? Candy is one of those things you would never re-gift, am I right? These are some of my faves, especially one for the fellas. 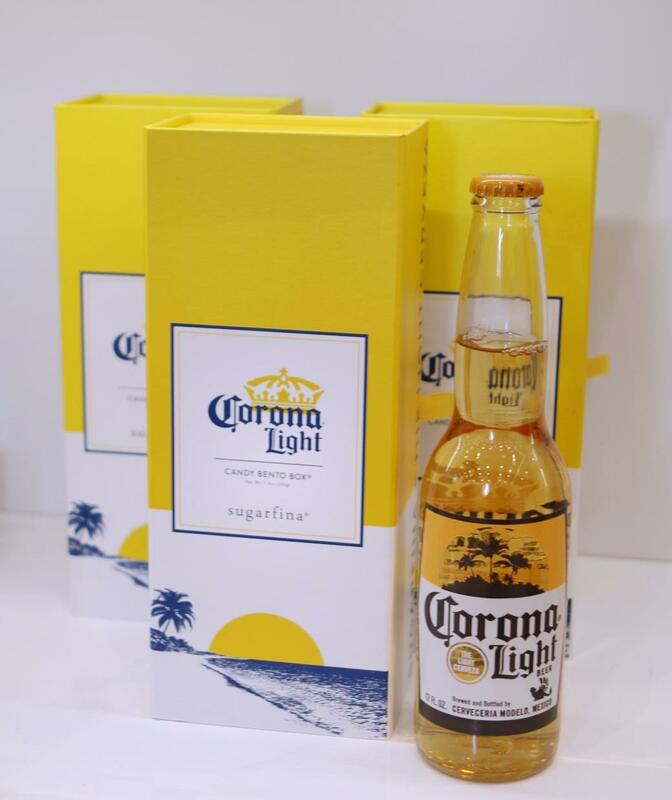 The Corona gift set comes so nicely packaged, you would never think you are gifting a beer concept set. For the ladies or even a group of girlfriends, the Rose All Day Bento Box is so pretty to gift. 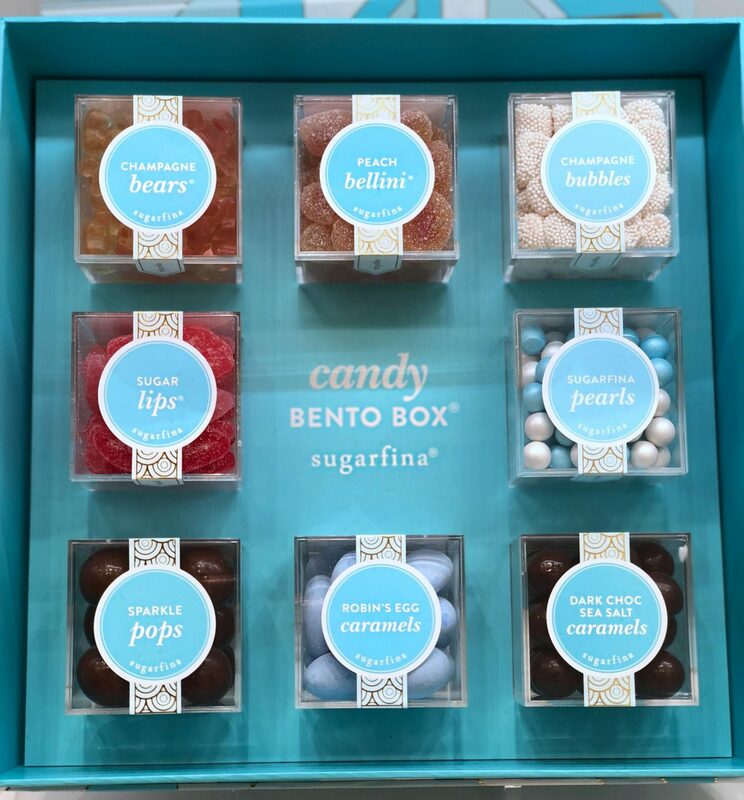 But for those who love all kinds of candy, I think my favorite is the Bento Box from Sugarfina where you can choose from a variety of flavors to put into the picture perfect box. 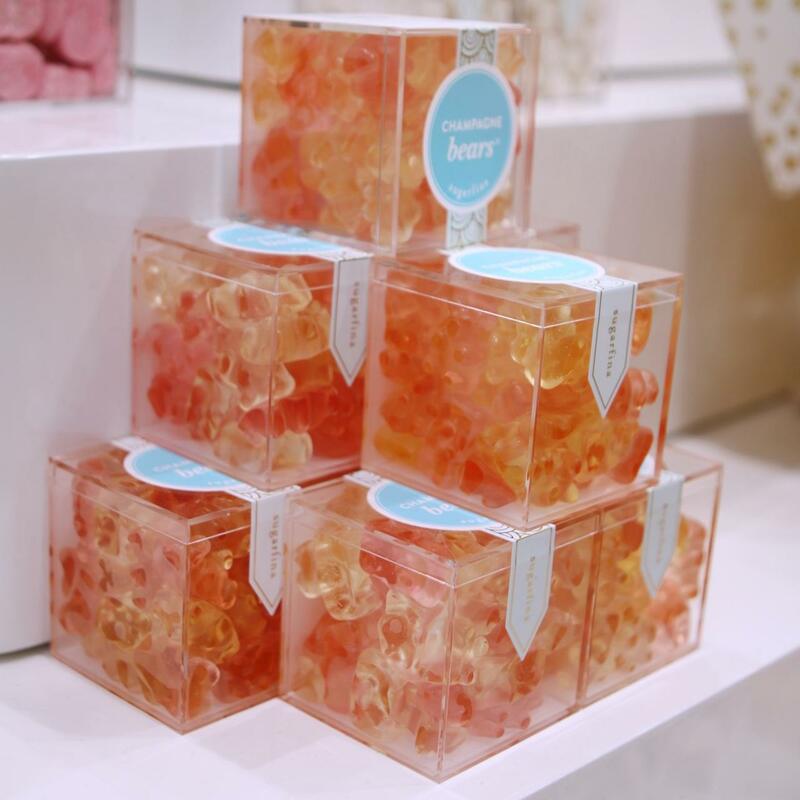 And who would resist the perfect Champagne gummy bear candy as a stocking stuffer, right? 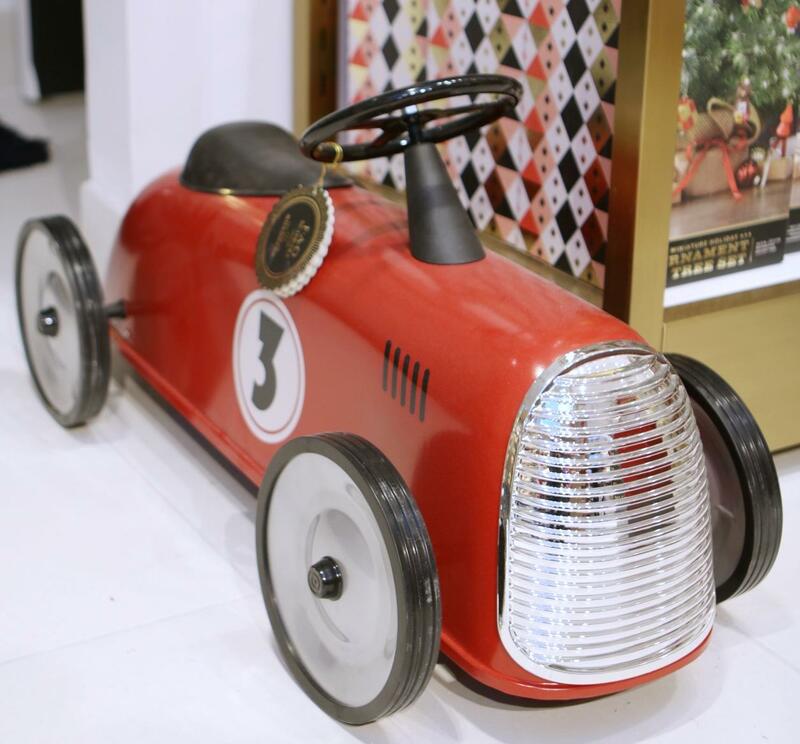 Christmas can’t be Christmas without some of the most special toys; and even better from one of the most special toy stores in the world. 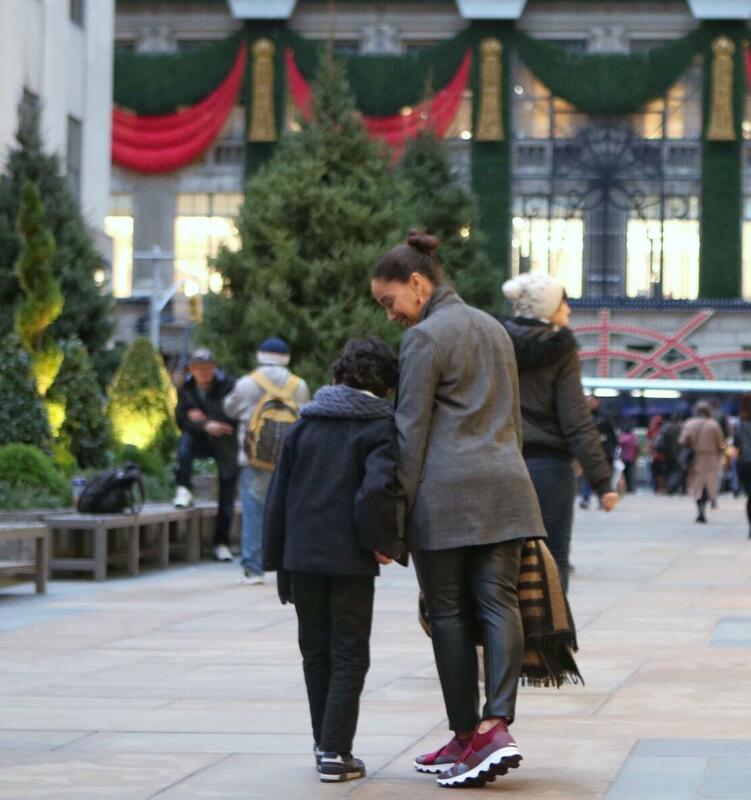 FAO Schwarz is BACK…and right in front of the iconic Rockefeller Center tree! While the entire store is a dream and I would buy it all if I could, here are some of my favorites that caught my eye and make great gifts for little ones that you may not find anywhere else. 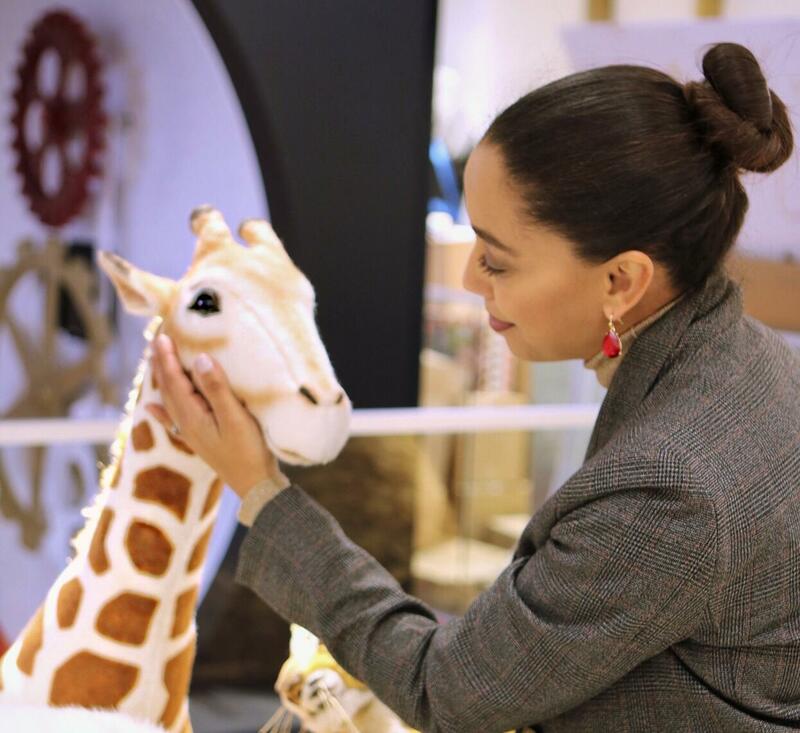 The classic FAO Schwarz teddy bear and all the iconic large stuffed animals remind me of my own youth when I wanted a larger than life zoo filled with giraffes and bears in my own home. 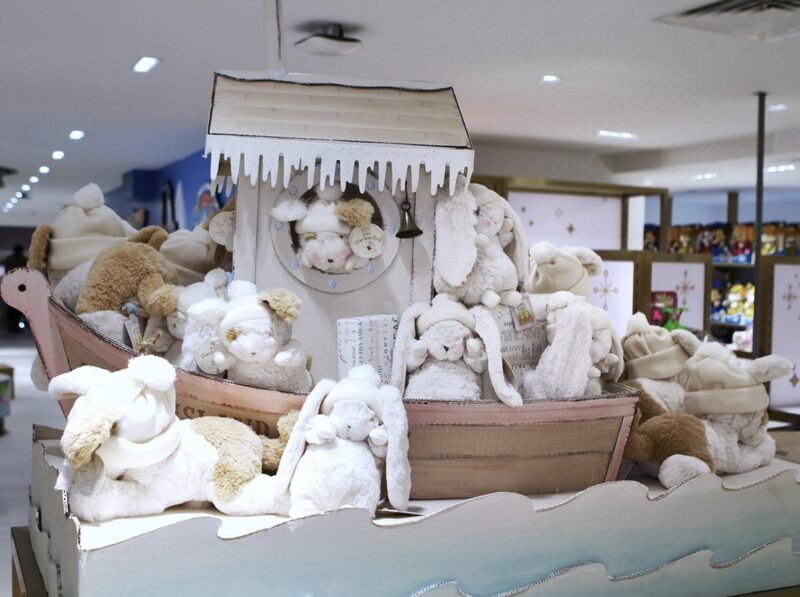 The hand painted decor and details put into the interactive areas all over the new store make it the perfect reason to visit alone. Plus, if you’re like me you can’t resist looking at the Barbie’s. 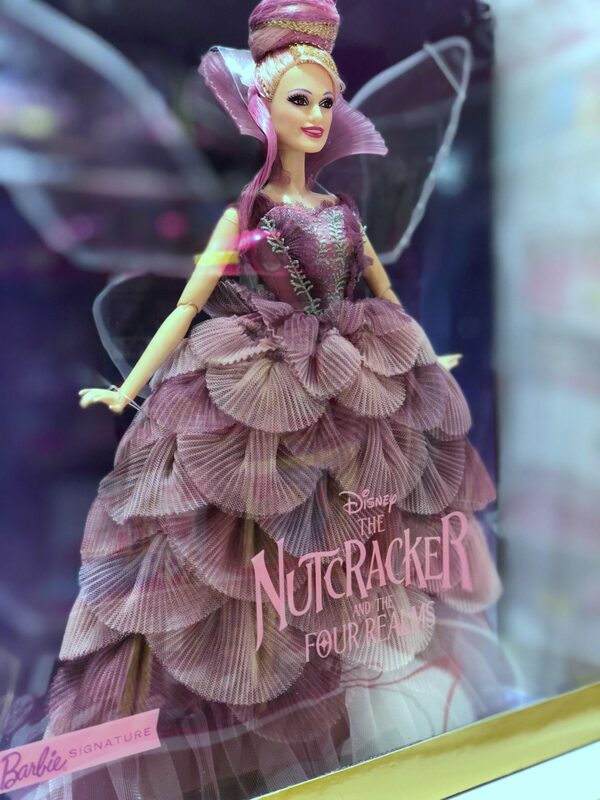 They have so many beautiful limited edition Barbie’s perfect for a collector or the little girl in your family. I can’t wait to go back and see my son enjoy the race car making area where he’ll be able to build his own. His excitement for all the toys that let him build and create couldn’t be contained! 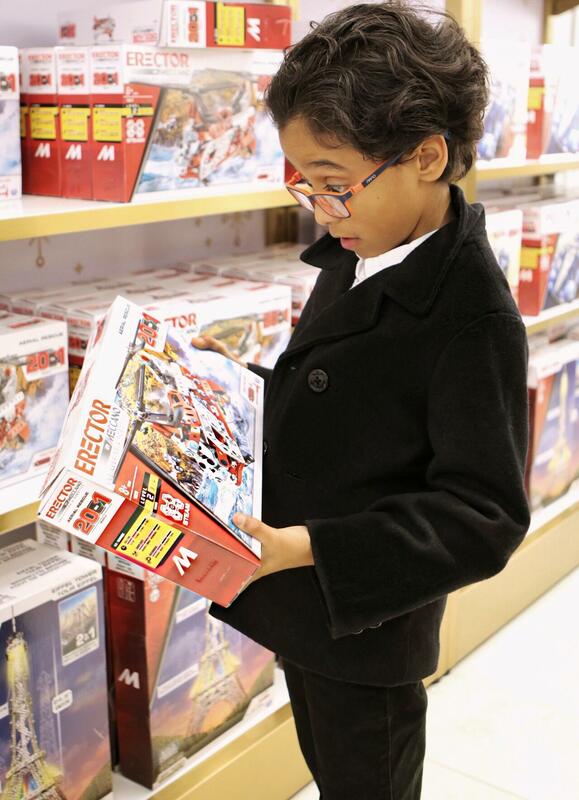 If you know a child who loves to build structures, the Meccano set makes a great gift! 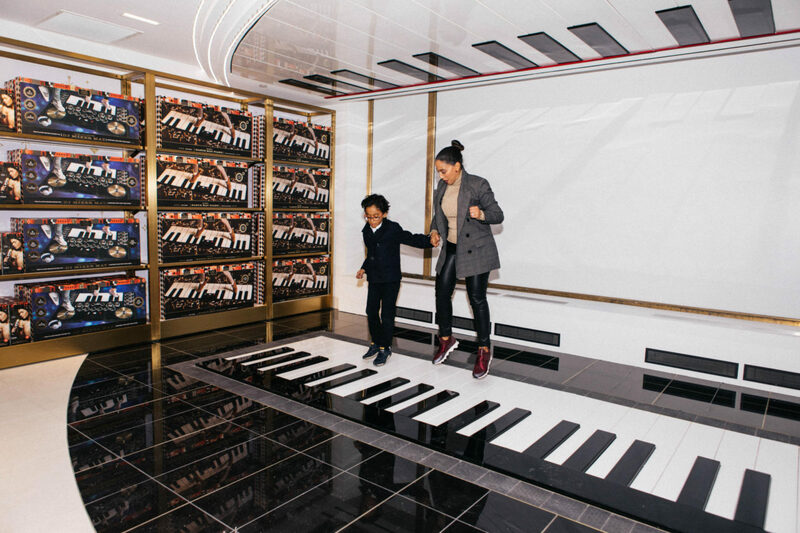 There is nothing more iconic than the large floor piano! Of course, we couldn’t resist trying it out and had a blast doing so. Who remembers the movie BIG with Tom Hanks? So if you find yourself in New York, make it a point to stroll through some of my favorites and enjoy the holiday scenery at Rockefeller Center and create memories with those you love. Have you been to Rockefeller Center during the holidays or wish to? What are you most excited about? Let me know in the comments below! Happy Holiday shopping! We know that everything we do as mothers influence how our children perceive the world. What we don’t have control over is how much of the outside world plays a part of that influence. As a result, I worry how my son is experiencing the world around him at school. I always hope that repeating my wise one-liners resonate with him throughout his day. How many times have you simply asked “how was your day?” only to hear “okay” or “it was good” with not much else. Cracking that communication door open for children can be a challenge sometimes. 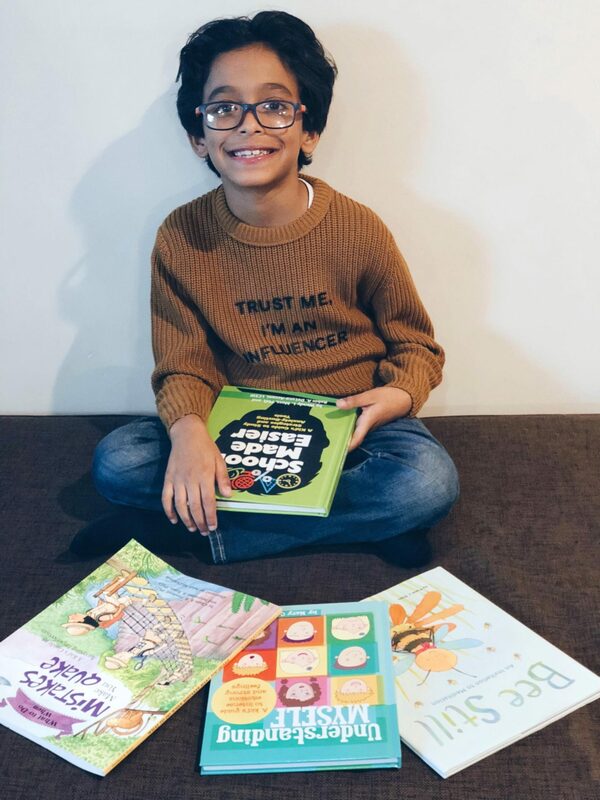 Since my son was very young, I have always used books as the key to creating moments that provide an opportunity to have conversations and positively influence how he thinks about serious life topics. 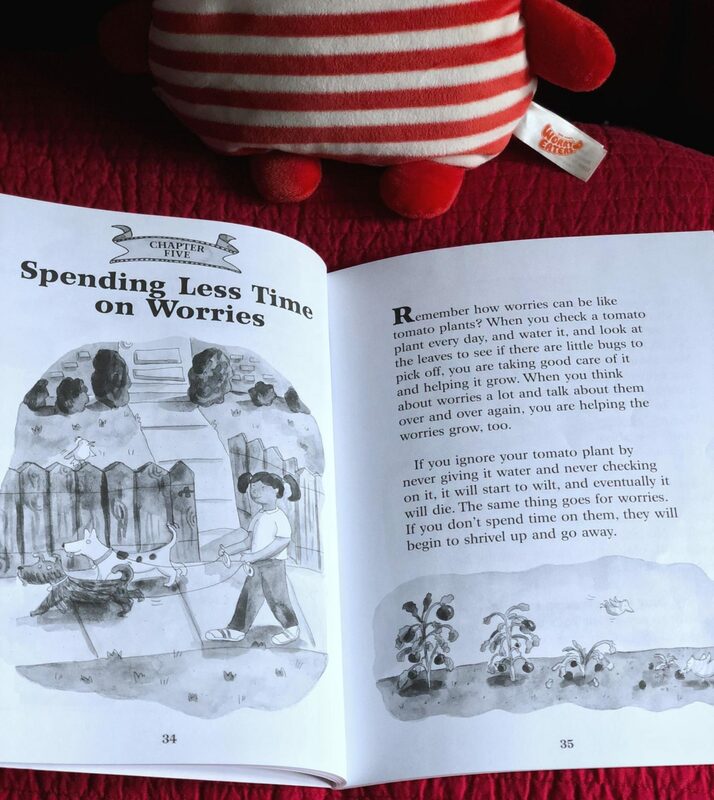 At the age of 3, I noticed my son would worry often and I decided to pick up this book. 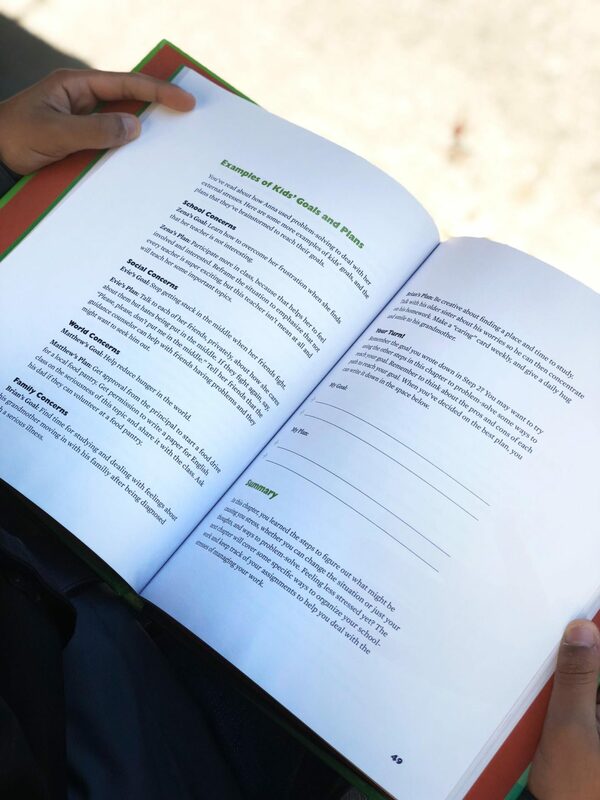 It is a workbook, filled with a great story (and a metaphor about growing too many tomatoes) on how to identify what makes him worry and how to change his focus. It was just the right language for his age, and we still have conversations about it today. When I lost my daughter, my dear friend Jennifer, who is an Early Childhood Education specialist, shared a few books that she knew would help me discuss death with my then 5 year old. I knew that despite the tragic experience we were all facing, I had to choose how this was going to influence the rest of my son’s life. Now that he is older, new challenges arise and I find myself looking for books that can influence how he operates in the world we live in. The tragedies in our news, the social dilemmas of friendship and the hard school work all are influencing our children. 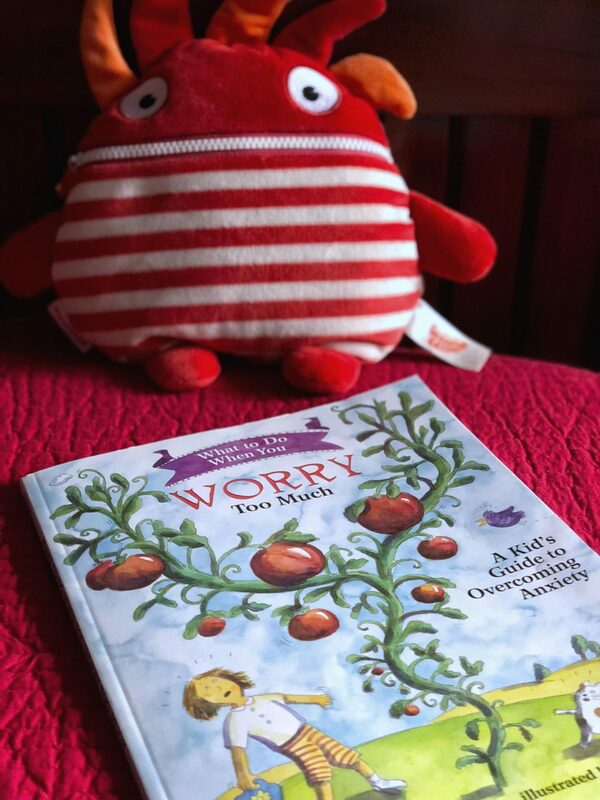 When I found Magination Press Family, who also published the Worry Too Much Book, had many different books that could help me have these conversations, I picked up a few to tackle what my son was feeling. The book series “What to Do When” is such a great collection of books that help with addressing issues kids face everyday. 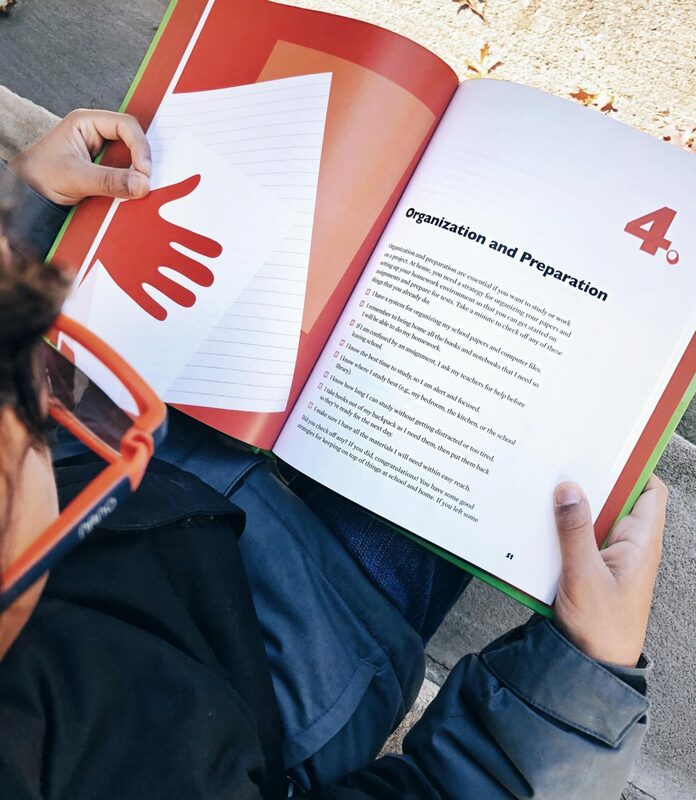 Similarly to the What to Do When You Worry Too Much, the What to Do When Mistakes Make You Quake was a great workbook to influence my son’s challenge with always wanting to be perfect. 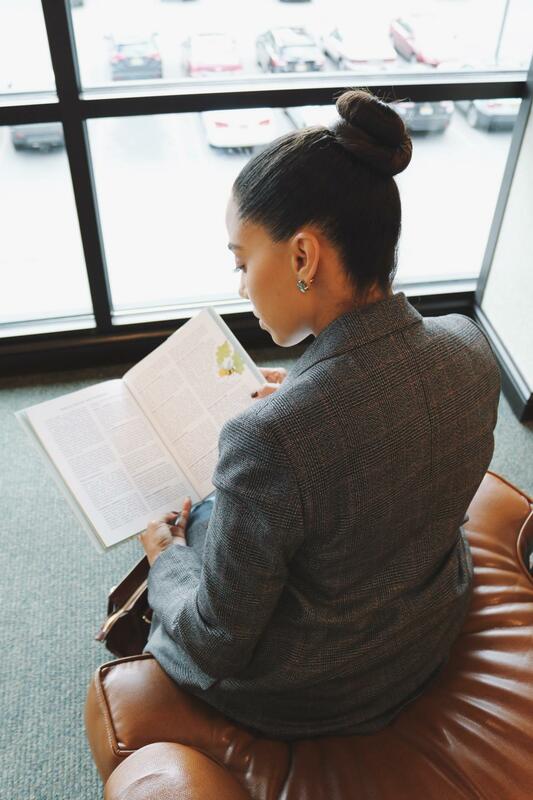 Understanding Myself, by Mary C Lamia, is a favorite of ours and he reads it in the car when we have gone for long rides. It helps us discuss how to deal with intense emotions such as guilt, pride, grief or embarrassment by providing questions and little survey’s to answer and assess the power of his emotions. Since Jennifer is an expert in her field of early childhood education, I decided to get her thoughts on how parents can use Magination Press Family’s long list of books that address challenging topics like anxiety and death to talk to their children. Q: What topics do you find parents have a difficult time discussing with children in early childhood? A: When an only child is about to have a sibling or parents are going through a divorce, any real stressors in the home that can influence a child growing up or affect their behavior. Q: Why do you believe books that discuss these challenging topics are better rather than TV or video? 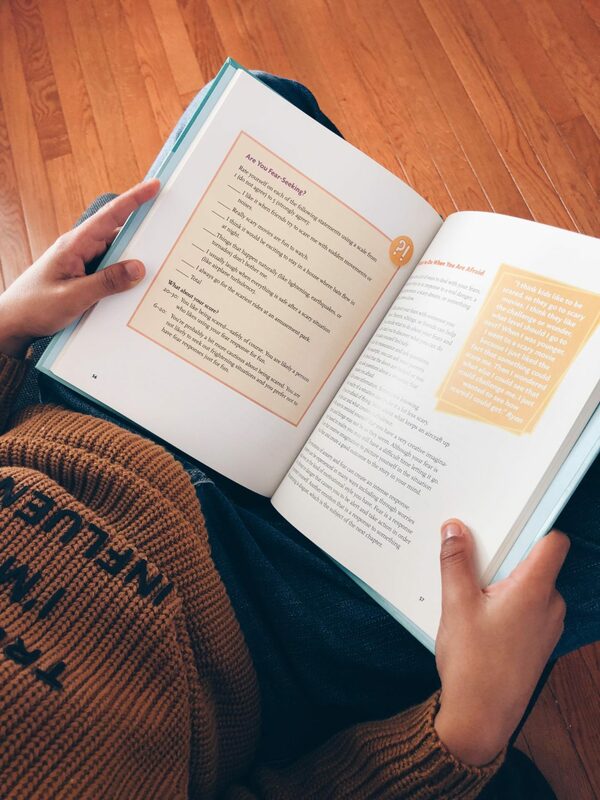 A: When your watching TV there is no one giving feedback to the child, rather than when you sit with your child and read a book you can encourage the child to ask questions and have a one on one conversation, and the book helps guide you through that. 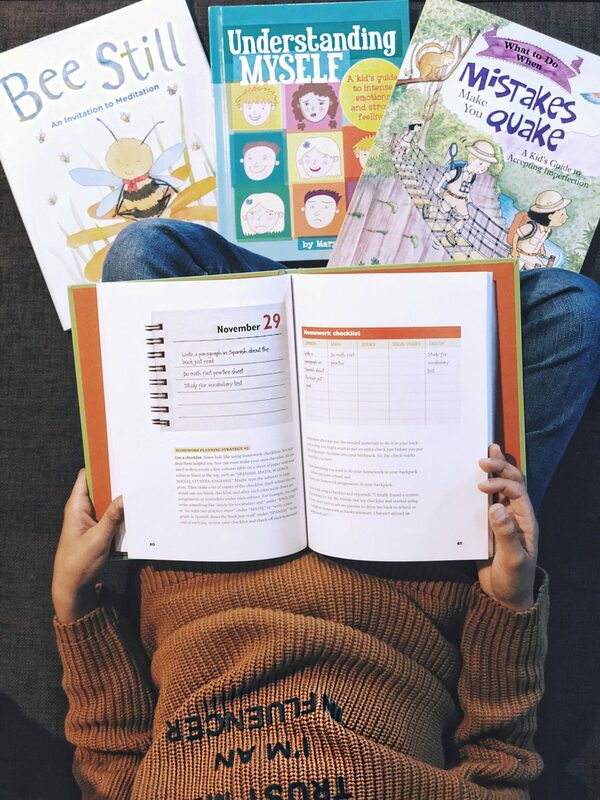 Many books that we use for our early education center provide additional content such as Notes to Parents (even in board books for toddlers) that help guide parents in their conversations. Q: Why psychology focused books for kids? A: Parents need to know about the early childhood development (birth to 5) of life because that is where brain development is happening for their kids. If we are not thinking about the mental health of children at that age, we are breaking their synapses in the brain and some things are not able to be repaired. Q: What do you think are common struggles that parents may not be conscientious of raising young children? A: With young children, parents often don’t understand what is developmentally appropriate for their child and they expect too much for children. Especially with toddlers, parents often tell a toddler to share and really it is not developmentally appropriate for them to share. You are putting expectations on children that they are just physically and developmentally not ready to do – so it’s not fair for them. What I loved about this interview was that we know as mother’s with children of the same age, we’ve gone through many books between us that have helped us navigate through the journey of motherhood, fully conscious that we have the power every day to influence out children’s mental health. One of my favorite of her ideas is leaving books around the house that would be intriguing enough for a child to pick up and ask about it. It’s a great way to get the child to start the conversation. Do you or someone you know going through a challenging moment with a child and struggling with how to appropriately discuss it with them? 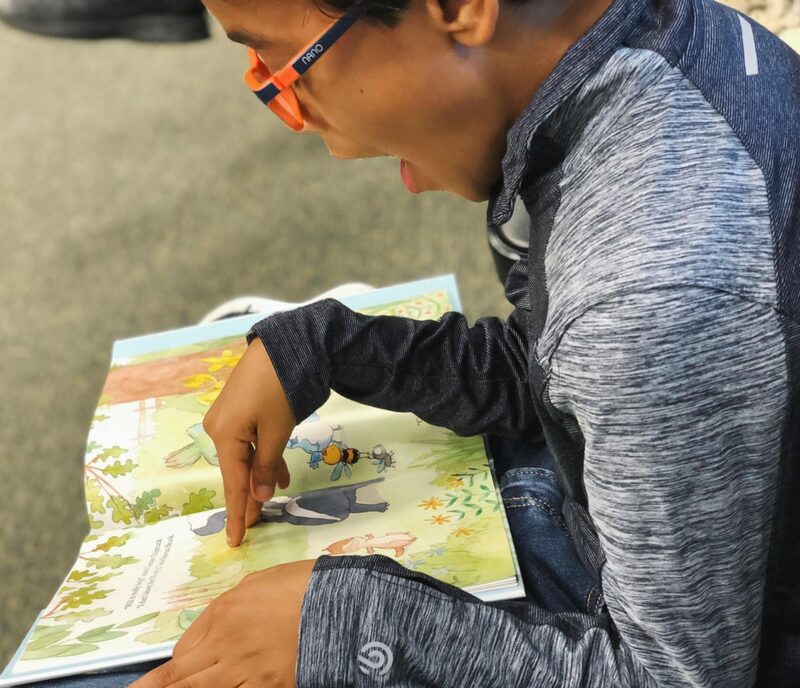 I encourage you to explore the books from Magination Press Family as they are the books that both Jennifer and I have used to get the conversation going with our children. 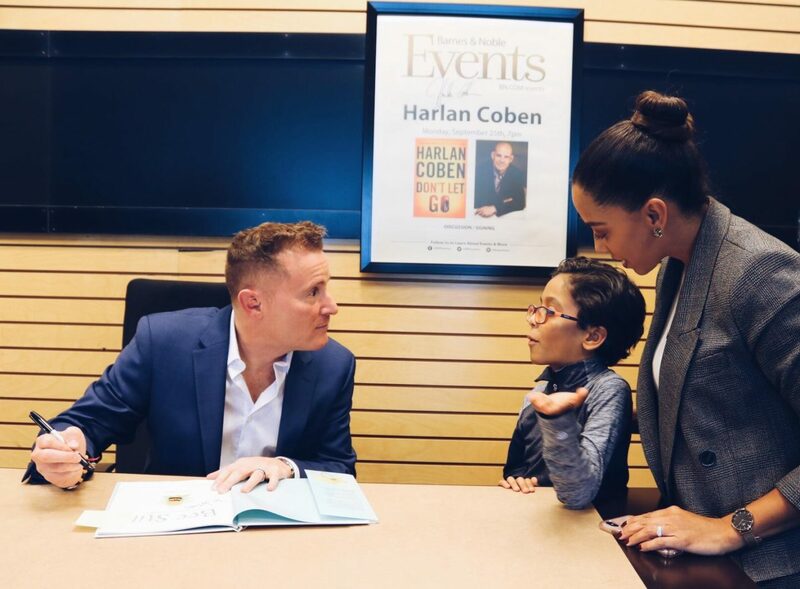 Let me know in the comments – do you have any thoughts on being the influencer in your child’s life or the life of a child in the family? I want to thank my friend Jennifer Santana for contributing and sharing her expertise. Thank you to Magination Press Family for sponsoring this post. 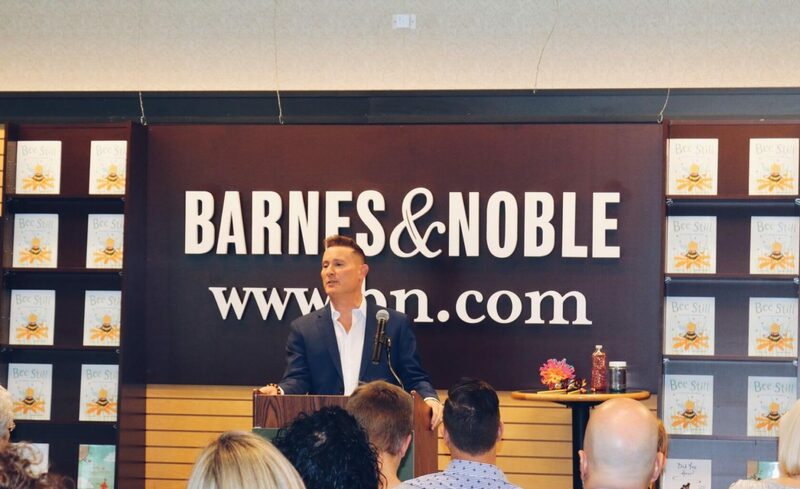 Thank you to Magination Press for sponsoring the opportunity to attend the Bee Still: An Invitation to Meditation children’s book event held at Barnes & Noble in Paramus, NJ. All opinions below are my own. Being a mother means always being mindful of what you do and do not do knowing that your child watches you to learn how to be an adult. When I think about all my son sees me do at any given moment, I realize that it’s rarely in a relaxed state on mind. 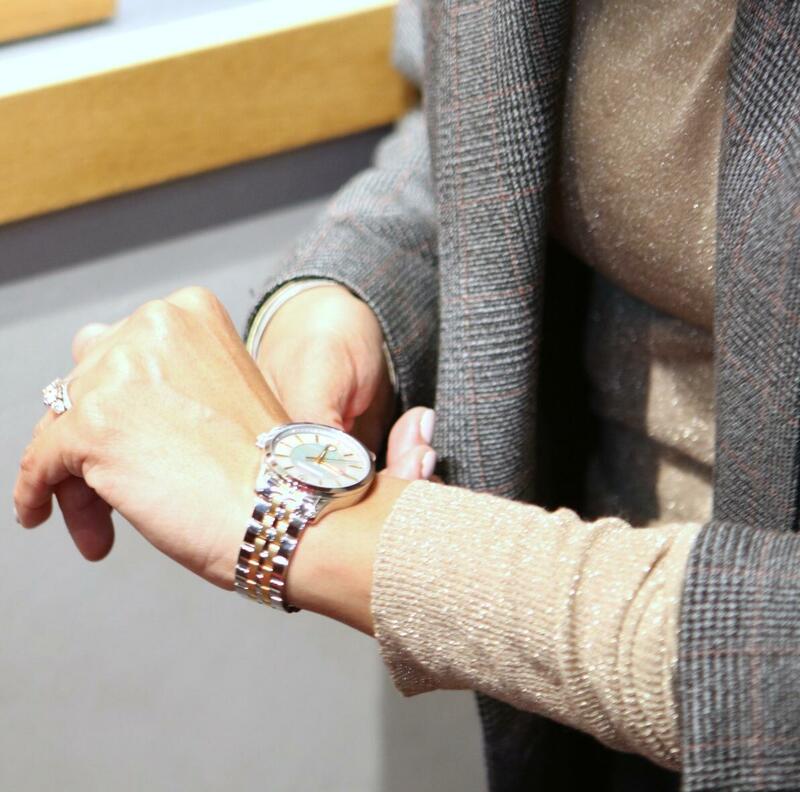 I’m always going, going and so is my husband, which is no surprise as we are both very active in our careers. So despite my awareness of the importance practicing mindfulness and promoting being mindful (the high school educator in me knows this well!) for children, I didn’t do it enough at home to make it a practice that could be a positive shift in my sons’ day to day school and life experiences. 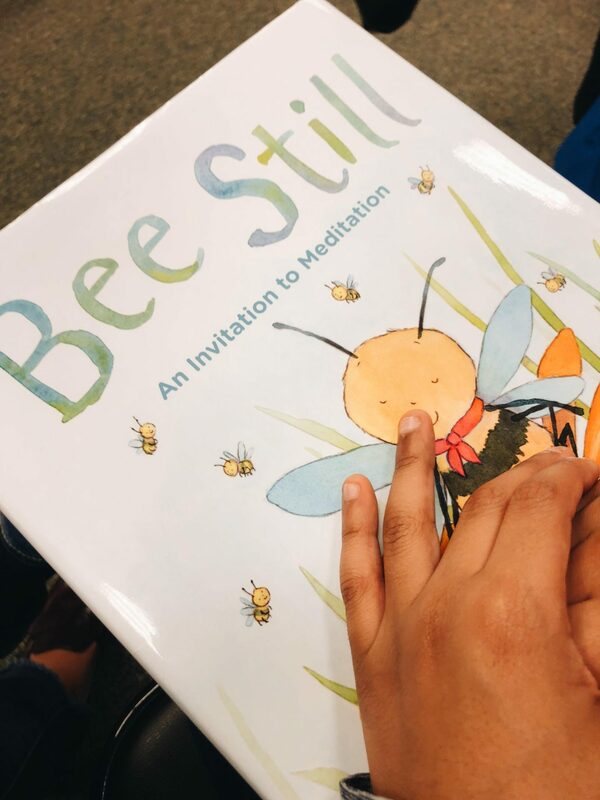 Given the opportunity to attend a book signing with Dr. Frank J Sileo, author of his latest children’s book Bee Still: An Invitation to Meditation, it immediately became clear that I needed to practice being more mindful in my own life to promote the importance of mindfulness for my son. 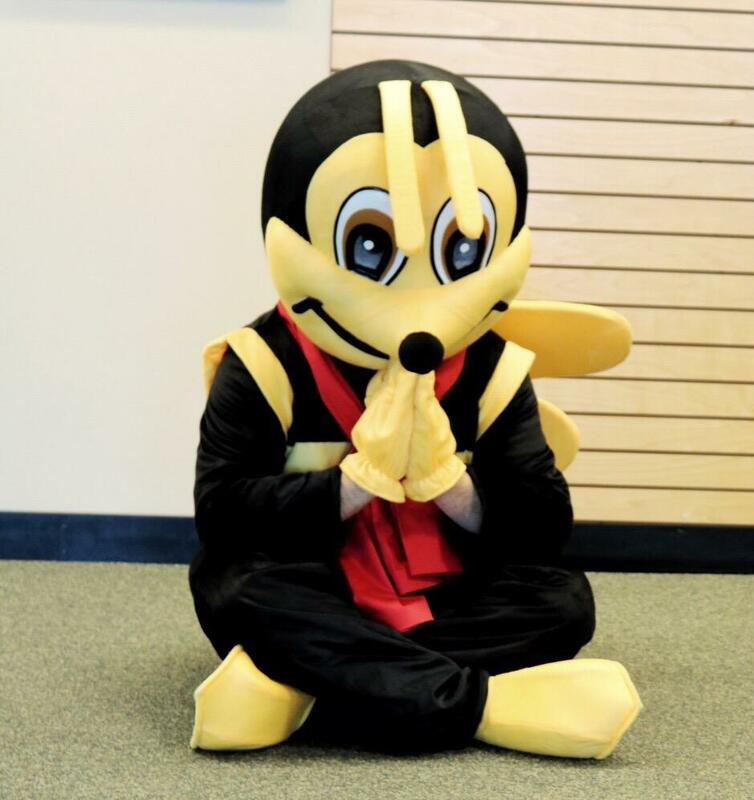 The book offers a sweet story about Bentley the Bee who is not bothered by the frantic busyness of the bees around him, but instead decides to practice being mindful and meditate to focus. Soon after, the rest of the animals that live in the forest join him in “bee’ing” still and mindful of the world around them. 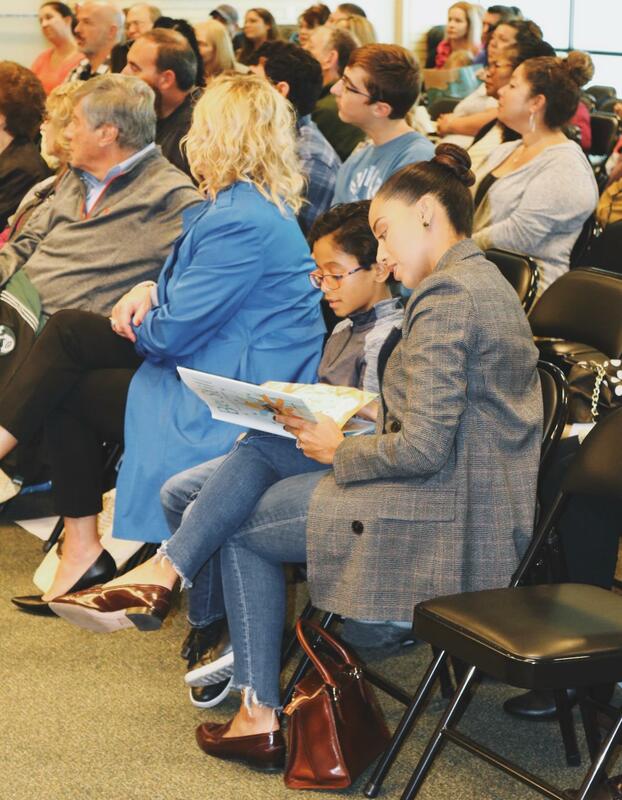 At the event, Dr. Sileo presented such wonderful practices to help children practice mindfulness and meditation while his book provided the perfect foundation for kids to understand why it is important to be mindful in the first place. But first, what is mindfulness? As Dr. Sileo put it, mindfulness is the umbrella that meditation and yoga fall under. It simply means noticing what your thinking, feeling and experiencing in your body without judging that emotion. So how do we get our children (or even ourselves!) to be more mindful to notice more of what they are experiencing, rather than worrying about capturing it on phones or not being aware of how the moment is making them (or us!) feel? I’m happy to share 3 ways to raising a mindful child as a result and be sure to read my favorite way below! Do a Q&A! Take a moment to stop whatever is happening to ask them questions like 1) are you enjoying what you are doing? 2) how does doing that activity make you feel? 3) what is your favorite and least favorite part of doing that activity? Or when you go for a walk, don’t only notice what you se in front of you, but look up and around and ask questions such as 1) aren’t those beautiful flowers 2) where do you think the people on the plane are going? 3) what do you think about the weather today? Remember to BREATHE! Have you ever had a child want to tell you something and they just can’t get the words out fast enough or want to tell you ten things at once? Ask them to take a moment to breathe. A trick Dr. Sileo shared was to take a hoberman’s sphere (or a pipe clean and some beads), and to essentially have each time they open and close the sphere (or pull a bead) for each time they take a breath. It teaches them to breathe when they feel rushed, but also to learn to breathe slowly. My favorite is to just STOP! 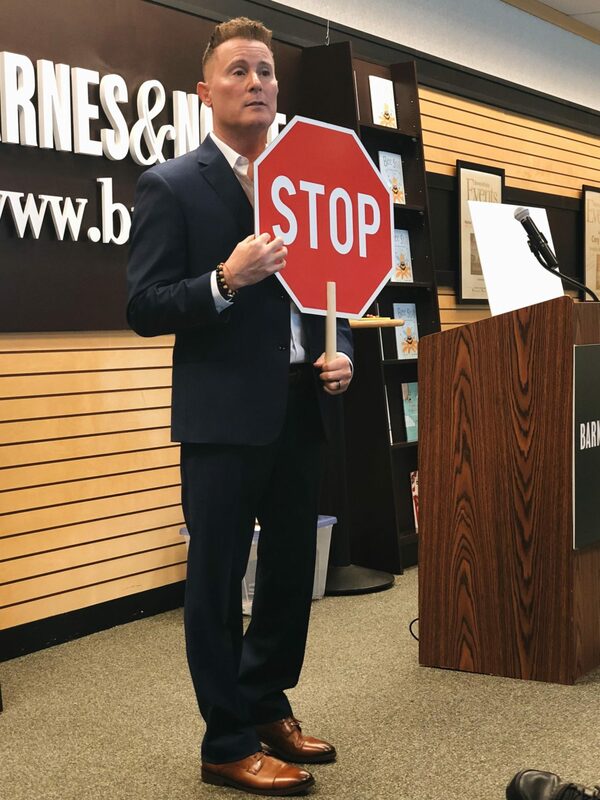 Dr. Sileo shared the power of the word STOP as an acronym: Stop Take a Breathe Observe Proceed. It really can be life changing for a child when given a moment to be mindful of what they are feeling and why they are feeling that way. And to simply ask a child to stop and acknowledge those feelings gives them the power to own them over time. As a busy mom, the importance of those tips for my son equally appply to me and to anyone trying to make the best of being a great mom and raising a mindful child. Let me know in the comments below:What do you do for yourself or your child to practice being mindful in life? Thank you so much for reading! If you have no idea who Jaclyn Smith is, then do a quick search for Charlie’s Angels and you’ll understand why I might have been a bit of a fangirl when I had the opportunity to meet and interview this incredible woman thanks to Sears. 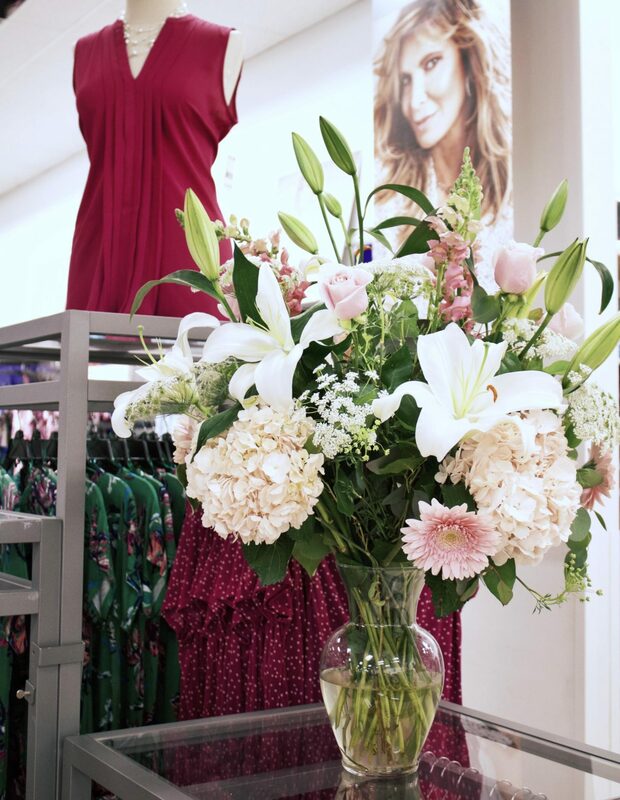 Not only did I get to sit down and speak with her, but I was so happy to do a little early Mother’s Day shopping now that Jaclyn Smith has her newest collection launch at Sears. I don’t know about you, but there’s something about Sears that always makes me think of getting tools for Father’s Day, but I’ve never thought about going to find something for Mom. But now, I’m happy I did. See our full interview below! Not only getting to meet and speak with the multi-faceted business woman, but also to shop her Jaclyn Smith collection was a delight. So many affordable pieces to share with my mom (who lives in Florida) via FaceTime, and I have to admit I was pleasantly surprised to be able to find a few pieces for myself, including many of her earrings from her jewelry collection. If you get a moment, watch my interview with Jaclyn below to hear what she wants for her customer and how she has been able to keep in the designing business for over 30 years. 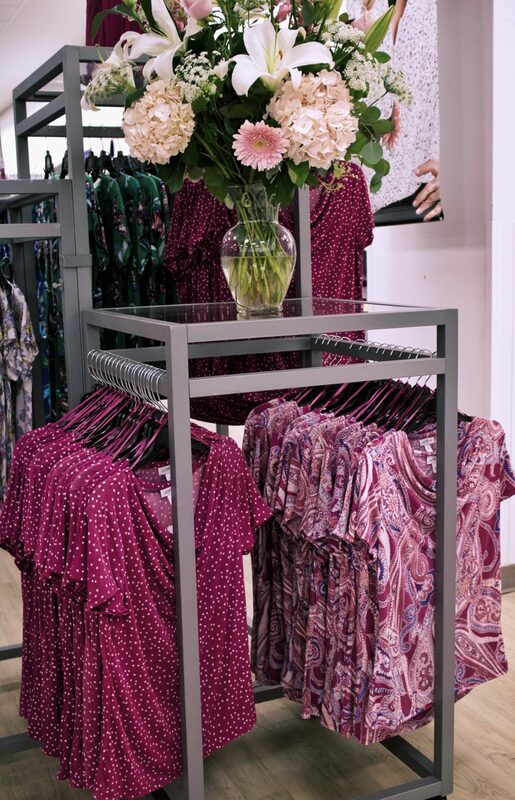 Bright prints and easy shapes make the majority of Jaclyn Smith’s shirt and dress collection, and I could immediately see my mother loving them for easy breezy summer days. As for me, I was happy to find a nicely structured pleated skirt under $20 (exactly!) that I could wear to work (also, a black suit jacket and pants) along with a blue striped off the shoulder top, perfect for summer. I shared a bit on my Instagram stories and so many people swiped up to check it out! And because Mother’s Day is just around the corner, I would love to gift one of you a $100 gift card to shop the Jaclyn Smith collection. 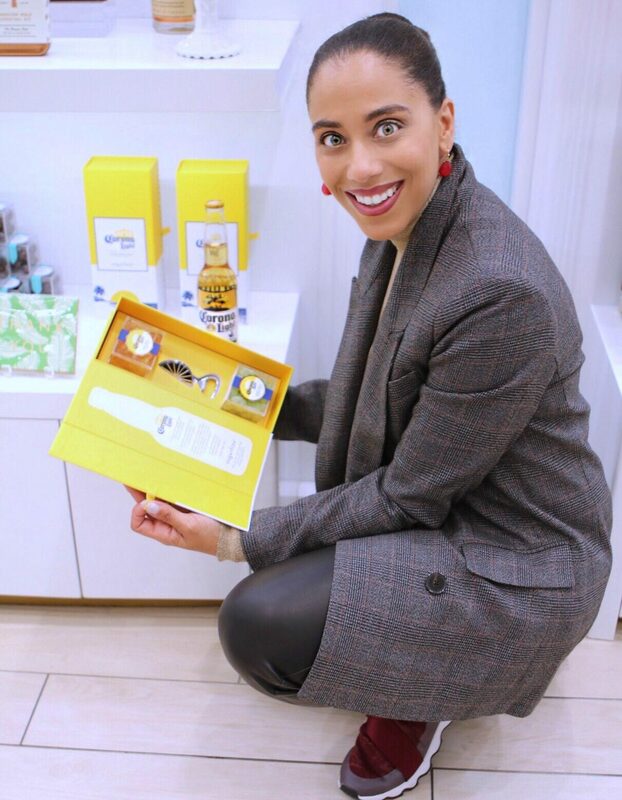 Simply leave a comment below on this blog post and tell me what you loved about our interview or the Jaclyn Smith clothing line and I will announce the winner on my Instagram by 5/1/18. 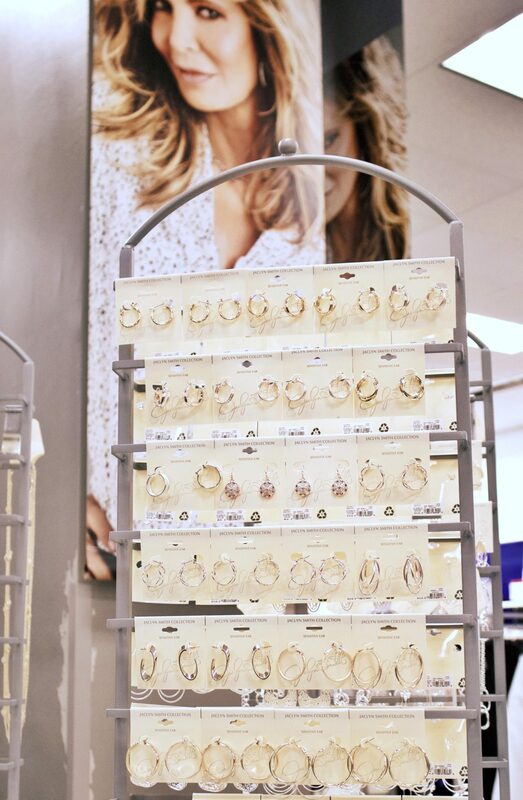 Don’t forget to check out the entire Jaclyn Smith collection here! Thank you to Sears for this wonderful opportunity! 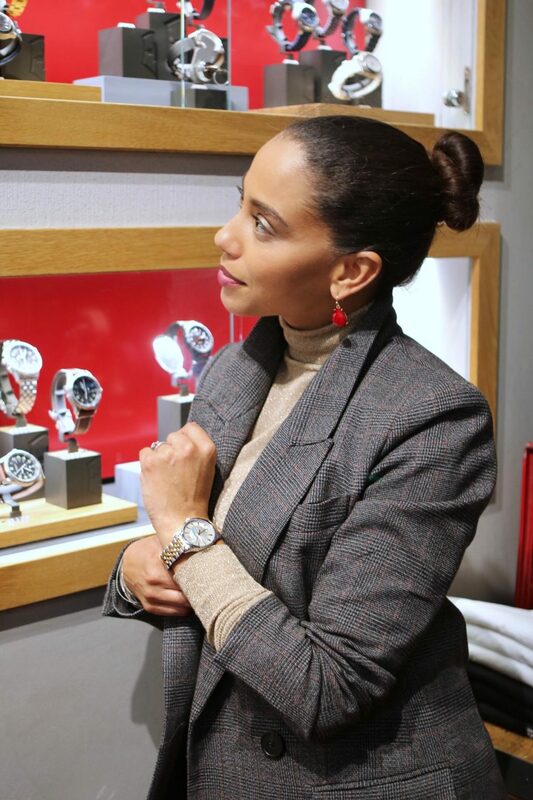 It was an honor as a #SearsPartner. 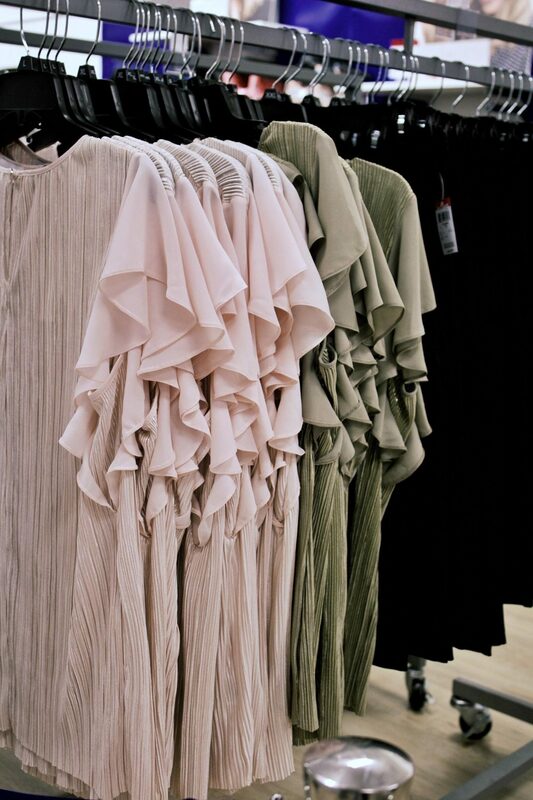 Ever go shopping for a dress for a special work event, wedding, or just an update to your closet for the new season and leave with nothing? It happens to me too. But I discovered very quickly that there were a few tricks I started to use that made it much easier for me to spend less time looking for the perfect dress and just choosing among all the ones that were perfect for me. 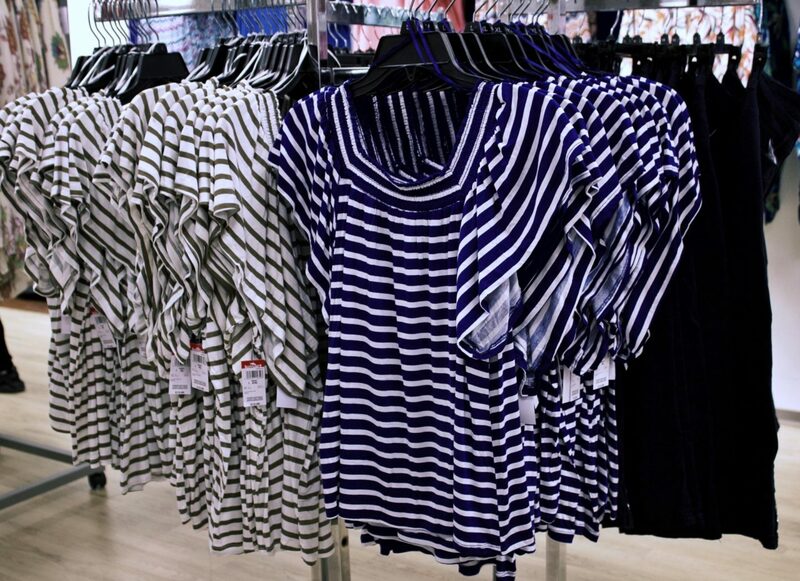 Here are 3 tips for finding the perfect dress without hassle. Decide which part of your body you feel you want to accentuate the most in your dress. Is it your arms, your shoulders, your waist or your legs. 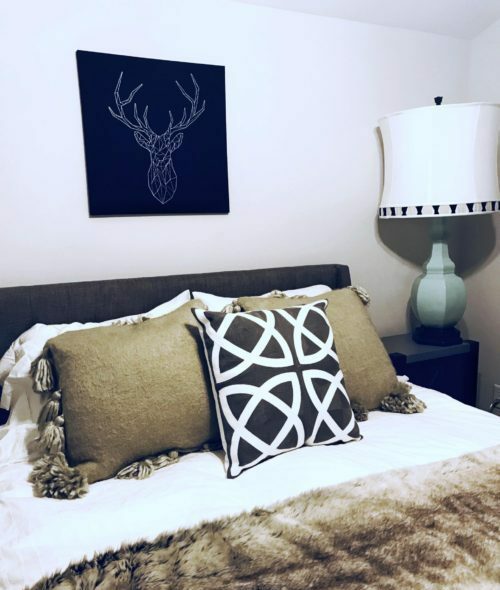 This is not to say you don’t want to accentuate it all, but you know we are our hardest critics so finding an area you LOVE the most will help. Love your legs? 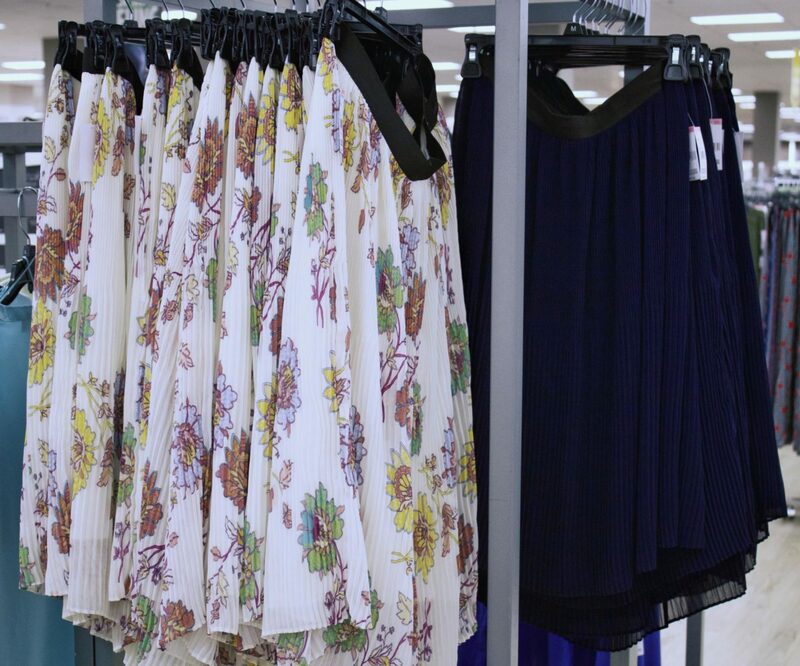 go for a mini or midi cut dress. Love your shoulders? Try a halter. Love your arms? 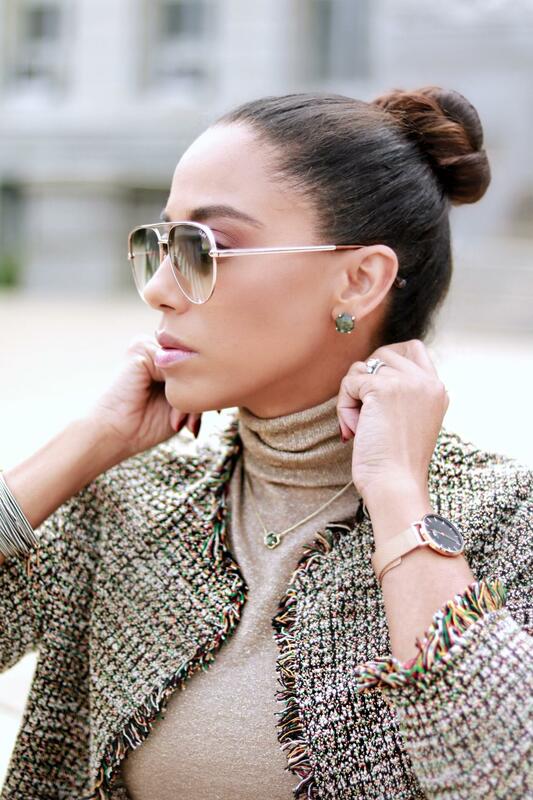 Go for a sleeveless or even a long sleeves with flare. 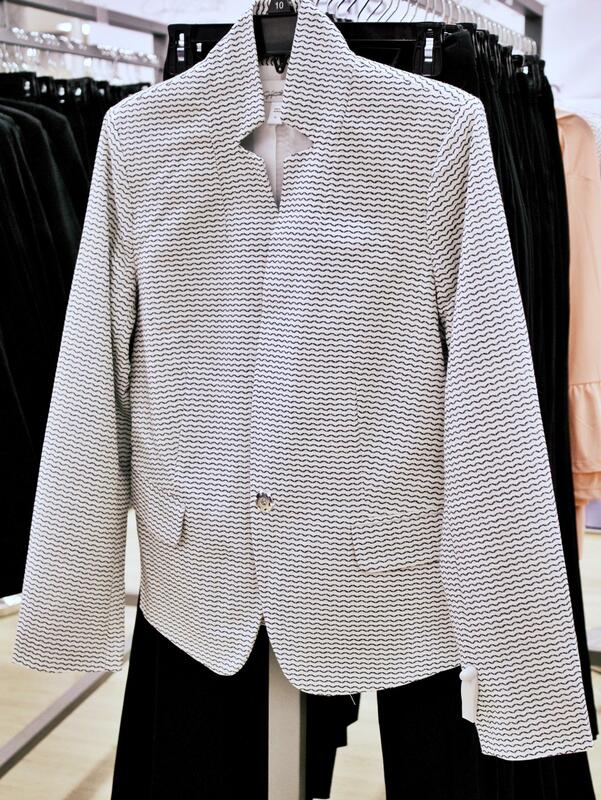 Go to your closet right now. Search high and low and determine what color is most prominent. This will do two things to help you find the perfect dress: 1) help you determine which color you are drawn to most, therefore you can choose a dress in your favorite color or 2) figure out that the color you always wear has got you in a rut and challenge yourself to find the one color you’ve always loved but don’t own, therefore choose a color you don’t own yet but love. You want to buy a dress for an event but can’t see yourself wearing it for anything else – don’t buy it. 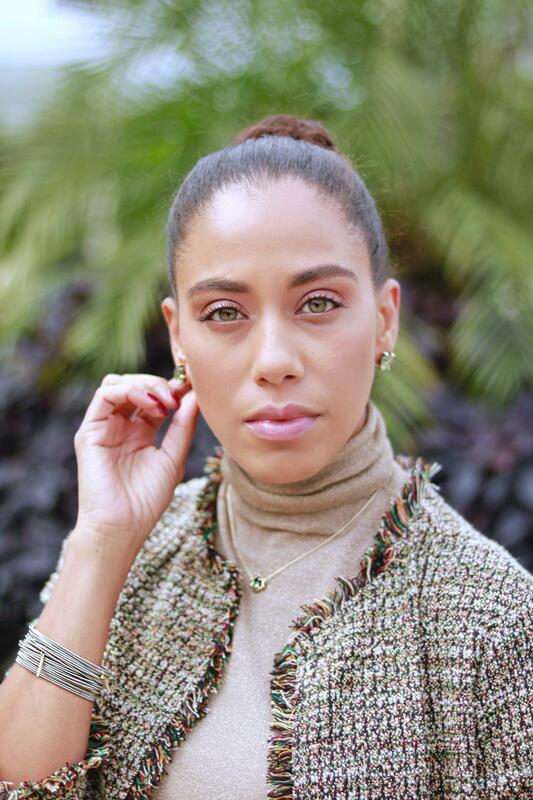 When you go looking for that perfect dress, be sure you are choosing a dress that you can see wearing with heels for an event as much as with flats or even sneakers for a more casual feel of the same dress. Be sure to find ways that you would repurpose your dress to make the most out of your purchase. I had such a great time working on the Fit for All campaign with Maggy London. Hope these tips were helpful. I am sure there are many more out there and would love your thoughts on finding the perfect dress. Let me know in the comments below! Who enjoys getting away even if only for a weekend? I definitely do. 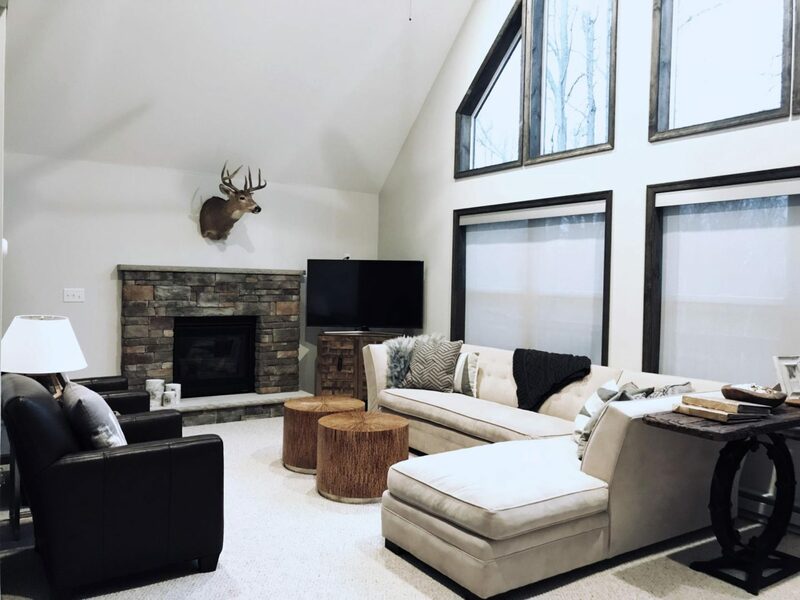 And to be honest, it’s taken me awhile to share this wonderful home away from home that I was so excited to enjoy with my family during a weekend in the Poconos a few months ago. Life happens and as I am just jumping back into my creative spirit, I am so happy to finally share it with you. 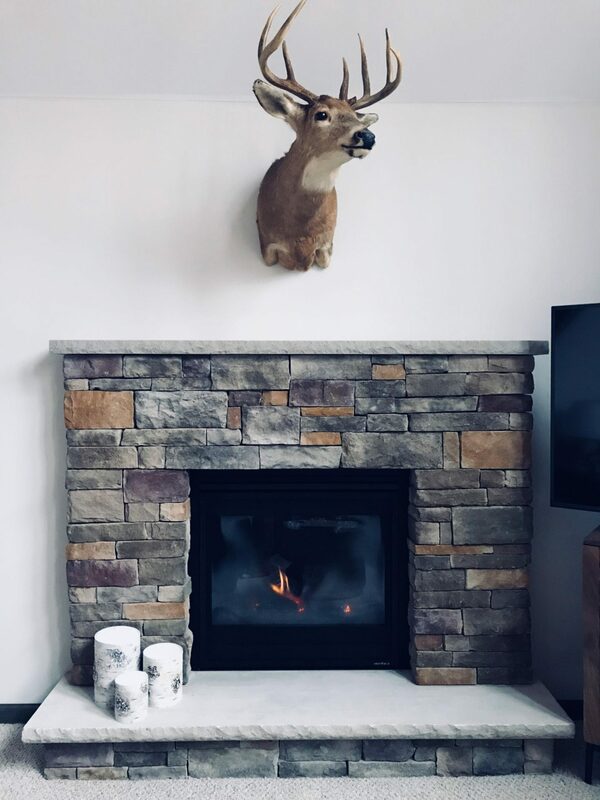 But don’t be deceived, just as much as this is the perfect place in the Poconos in the fall and winter months, it also makes a perfect home for a family gathering as you start to think about warmers days for summer getaways. 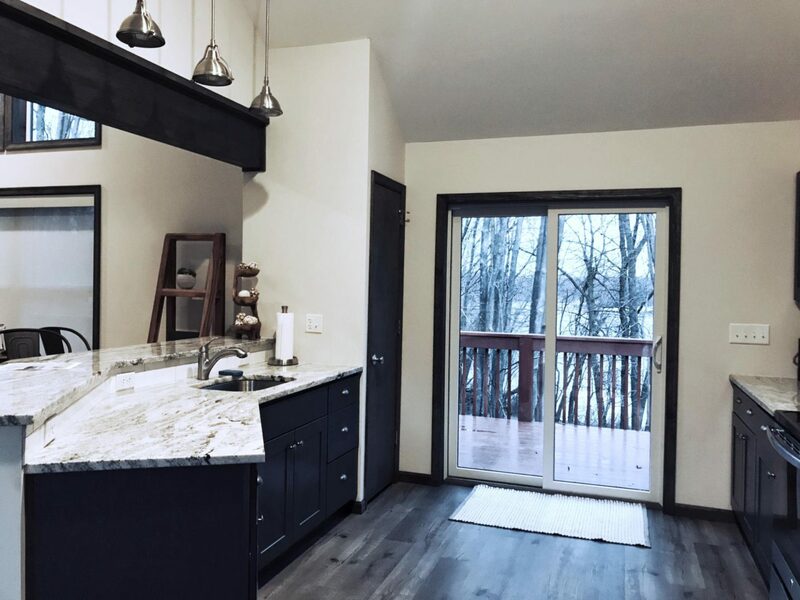 Located within a Poconos community in Pennsylvania, this Oasis Holiday Home has the most beautiful view of a lake right in the backyard (which is ideal for all the summer activities!) and only 10 minutes away from some of the most enjoyable activities for children for any season. Want to get a head start on planning for a Fall vacation? 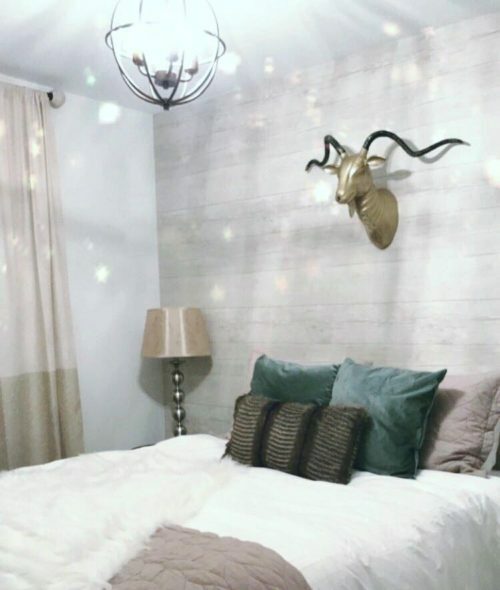 I don’t know about you, but I’ve already got a few plans in the pipeline and one of them is enjoying the transition of the fall leaves, which would make this home an ideal place to stay again! I have stayed in an Oasis Holiday Home before (seen here), and the owners have such a liar for home design and style. 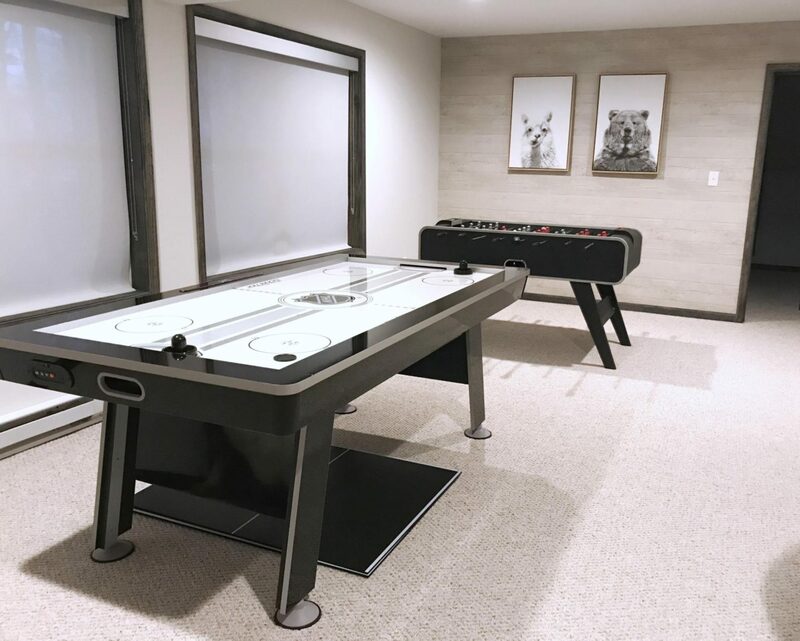 So not only are you enjoying the location of being by a lake or a beach for a backyard, but you are also enjoying all the amenities you would need in a home without having to pack anything but your clothing and toiletries. 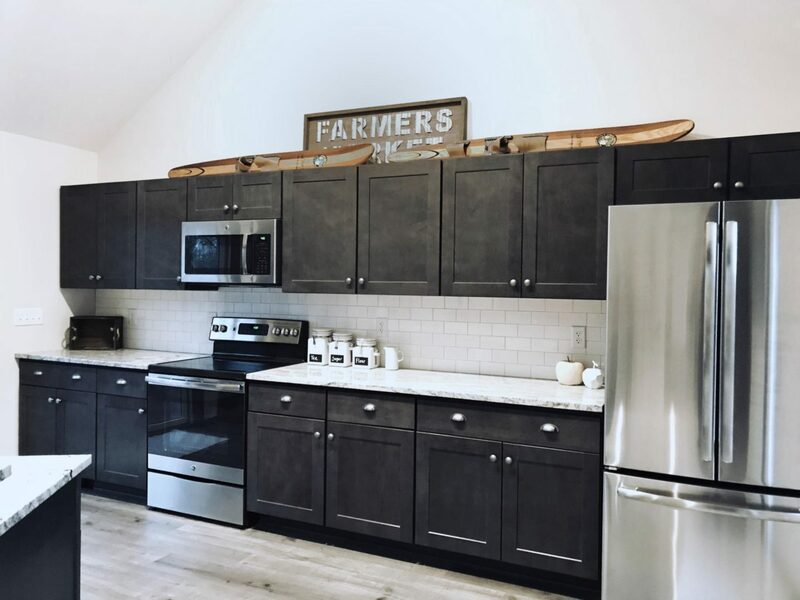 I’ve shared this Pocono home on my Instagram here, here, here, here, and in a blog post here and here, so be sure to check them out to see how easy it was to make this home feel like home even if only for a weekend. 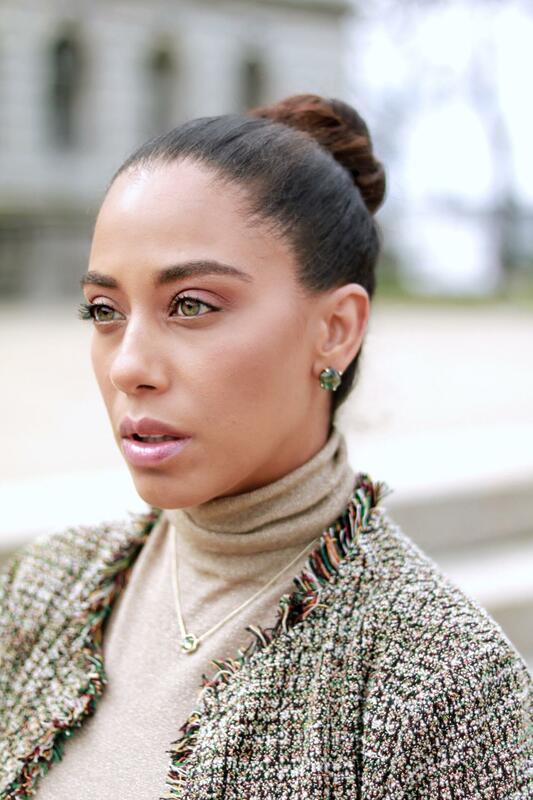 From playing with my son in the game room to just hanging out enjoying a morning together, and a little fashion photoshoot with my husband, the beauty of being surrounded by nature for a weekend really can’t be beat. 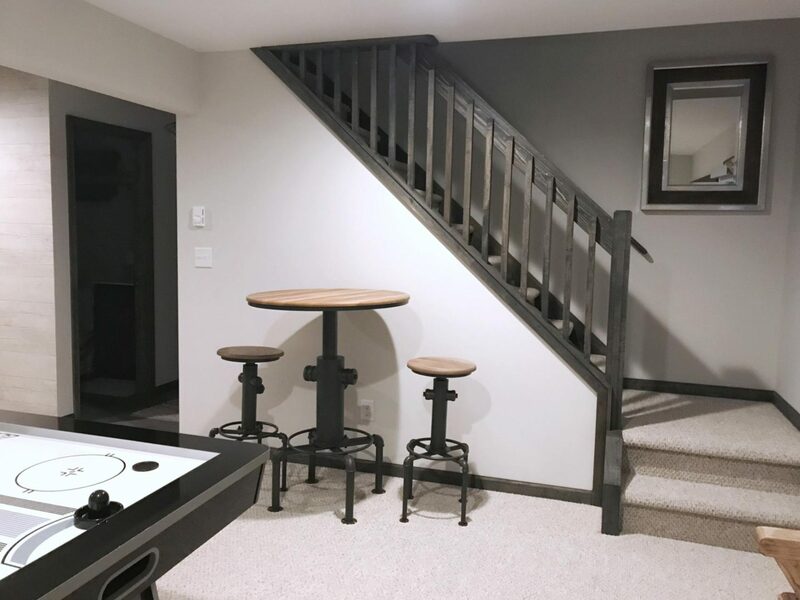 With 2 bedrooms on the top floor, two on the main floor and one bedroom in the “basement” (with direct access to the driveway for anyone who cannot take the stairs) equipped with a crib, every single family member up to 12 people can enjoy this beautiful and spacious Poconos home. 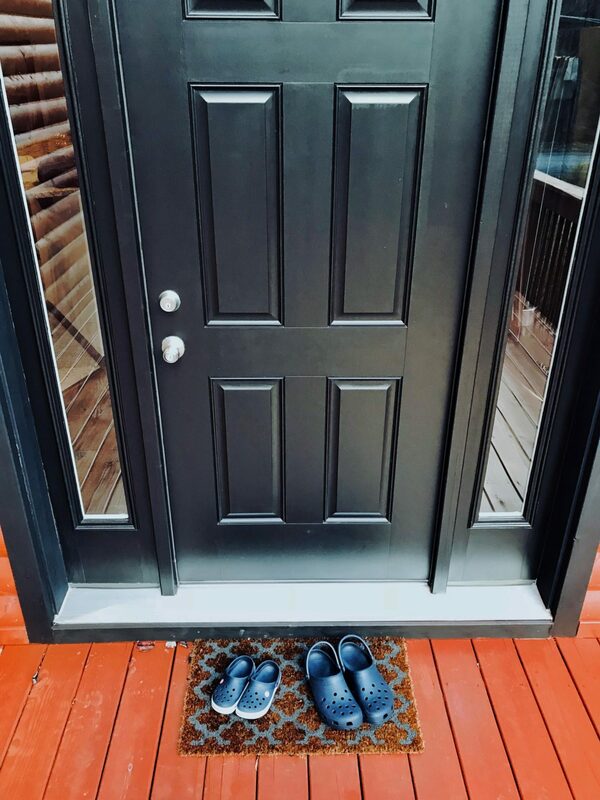 Can you tell I was already ready for spring with our Crocs at the door? Let’s hope there aren’t any more snow days ahead for us with the strange weather pattern we’ve been experiencing. 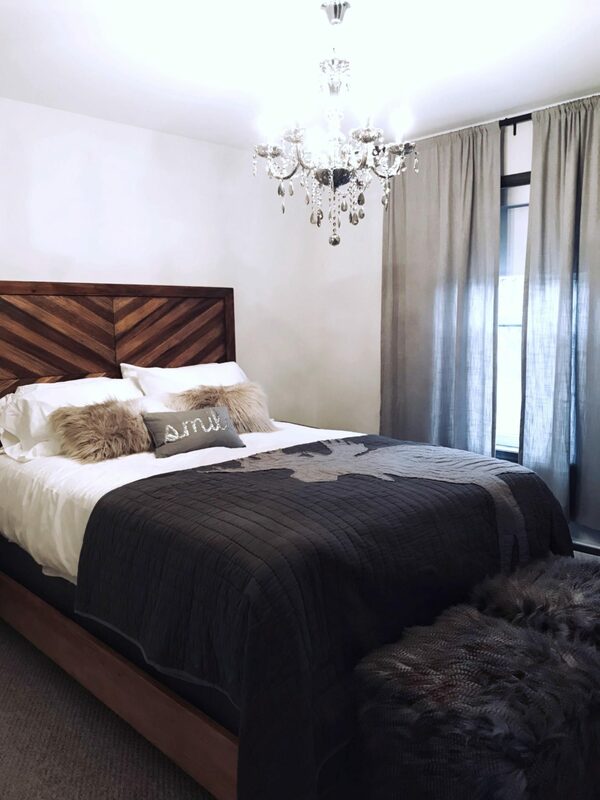 But don’t let that stop you because this would make the perfect ski home too! The slopes aren’t too far away and planning for next winter for the holidays would get you a head start on the crowds! Thank you to Oasis Holiday Homes for letting us enjoy their stunning home. We are grateful to have spent time together as a family when we needed it most. Consider booking a stay for the weekend in the Poconos with Oasis Holiday Homes, you genuinely will not regret it! Thank you for reading and I wish you a great week ahead!